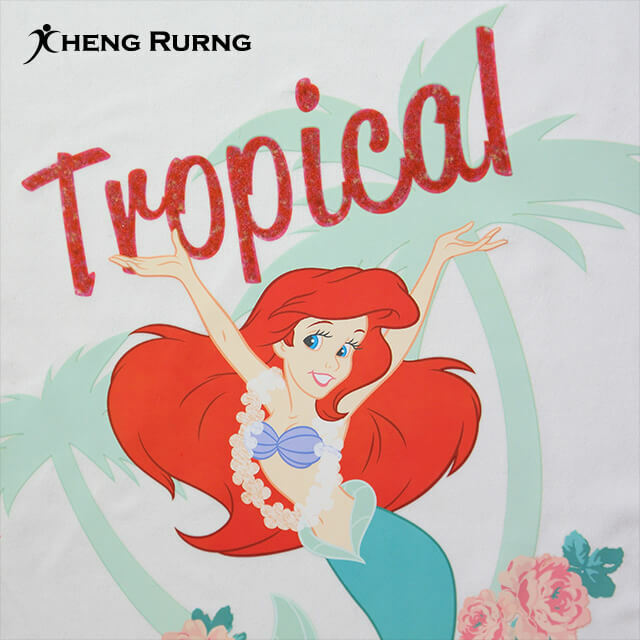 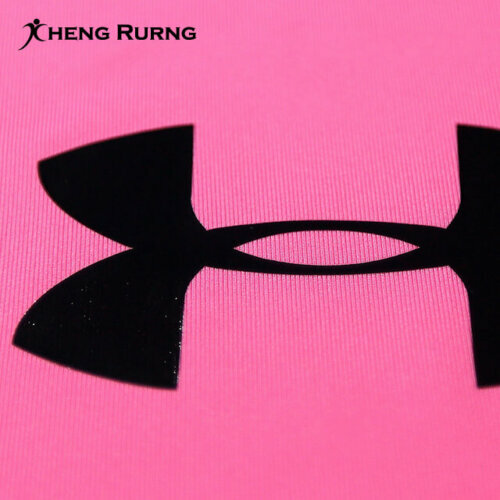 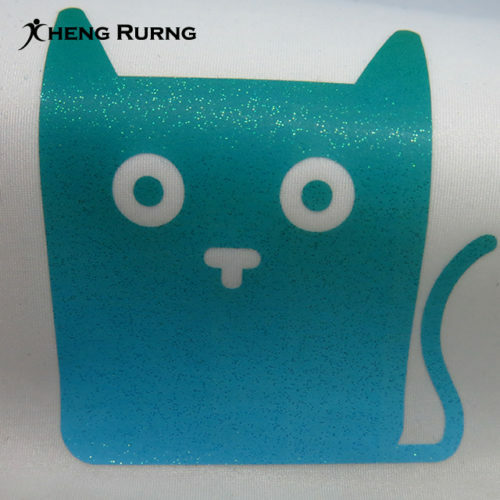 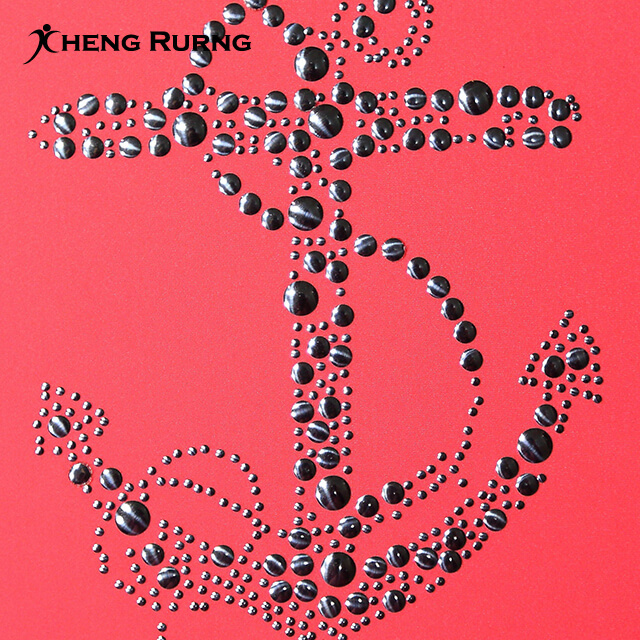 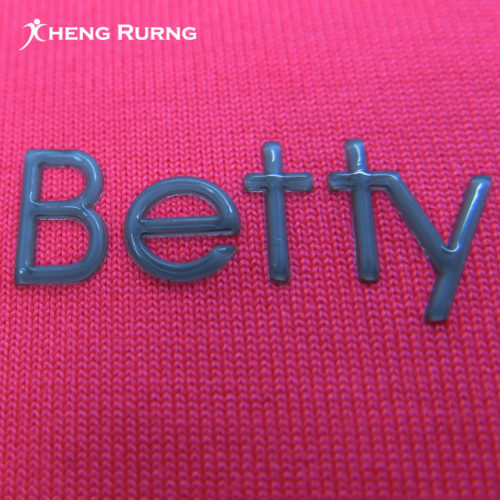 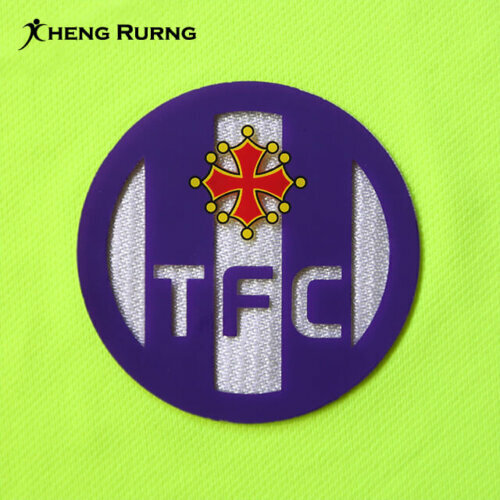 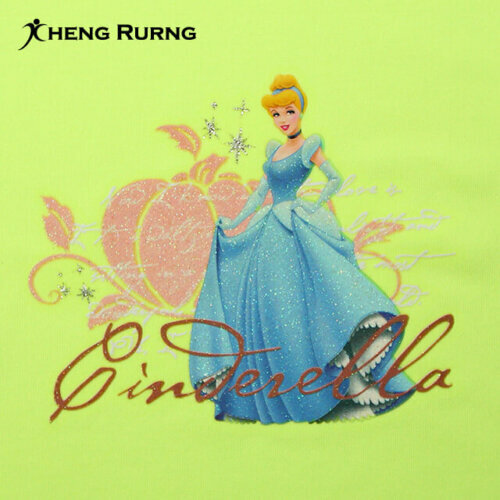 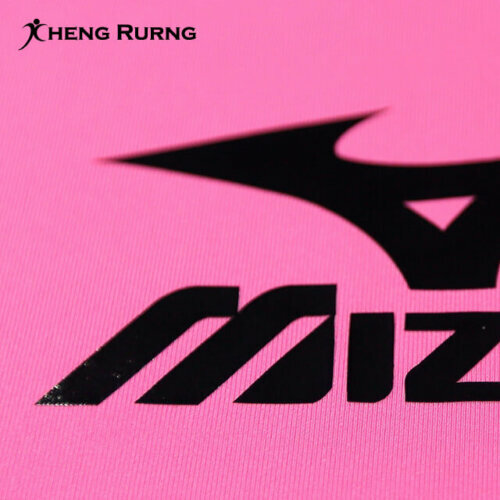 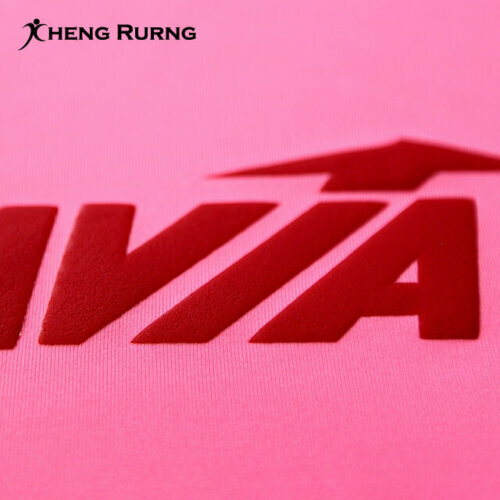 Glitter Silicone Heat Transfer Label is suitable for vivid and creative patterns for T-shirt. It is also suitable for logos. 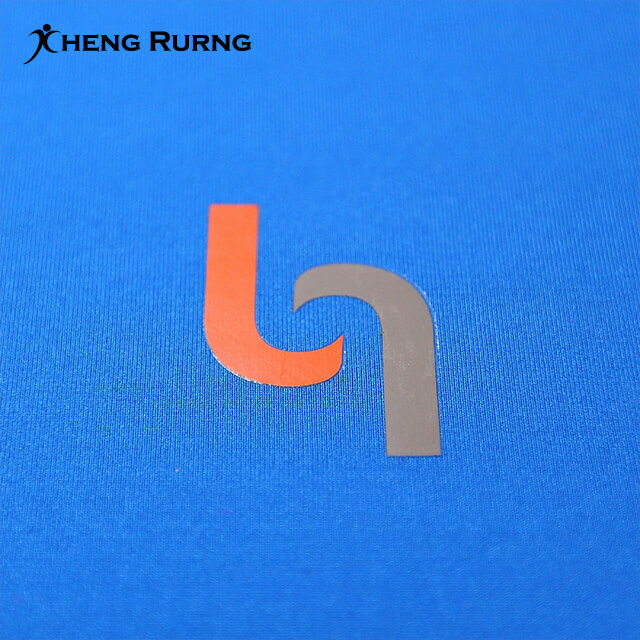 The features of silicone heat transfer are Eco-Friendly, high tensile strength, and durable. 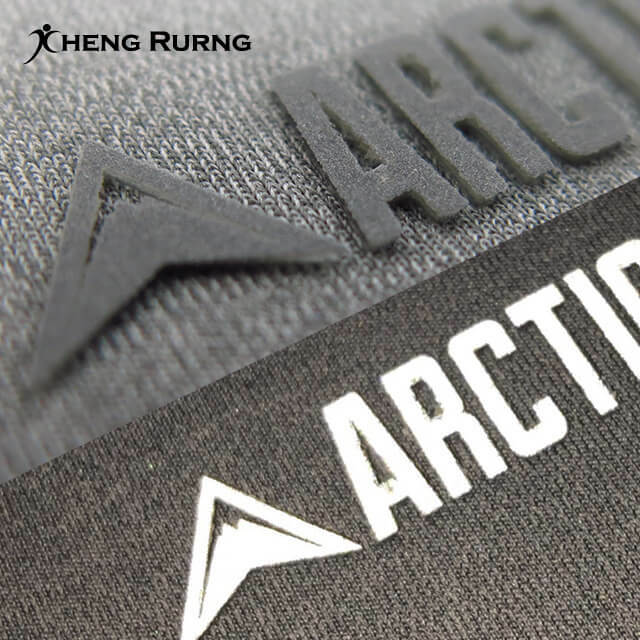 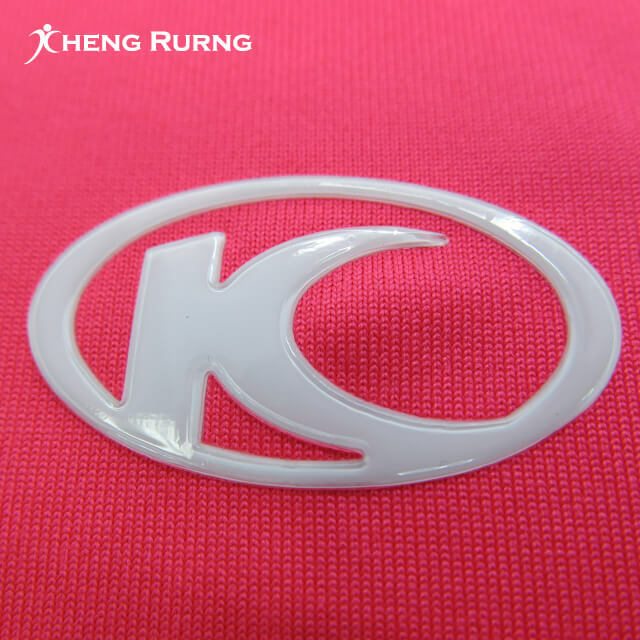 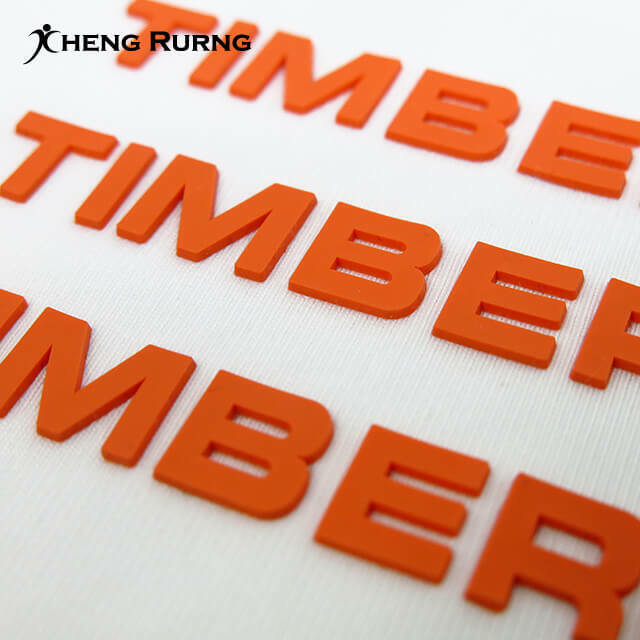 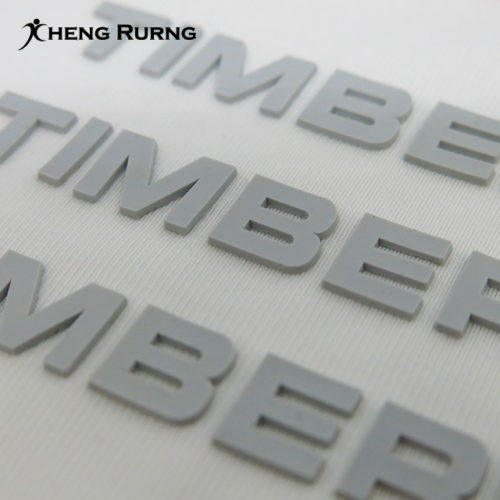 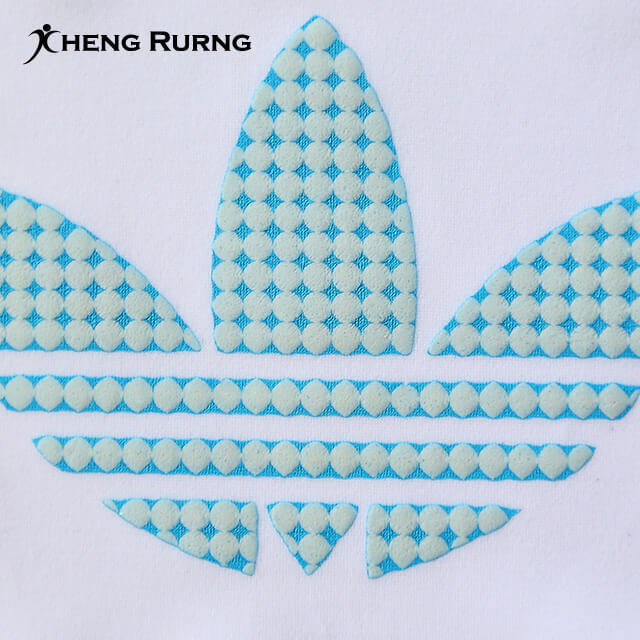 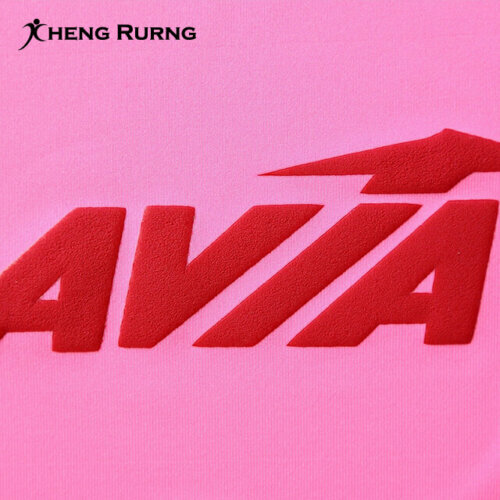 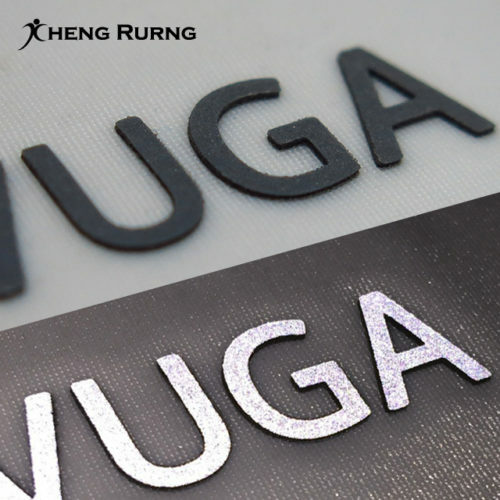 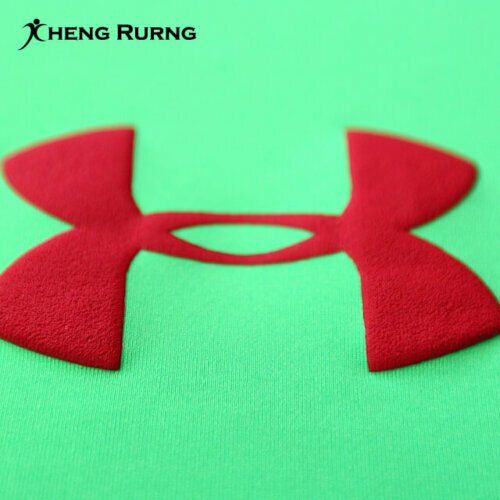 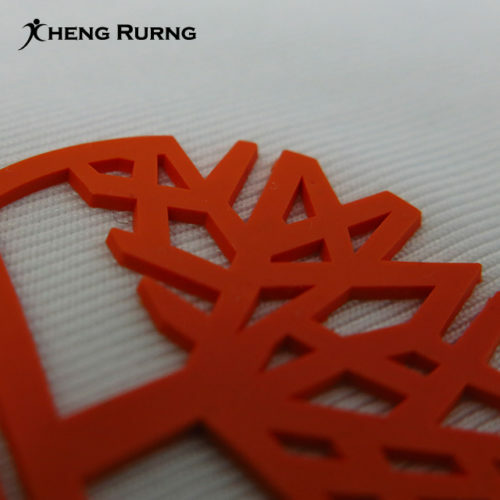 3D High Density Silicone Heat Transfer Label is suitable for almost all kinds of fabrics and with 3D effect. The features of silicone heat transfer are Eco-Friendly, high tensile strength, soft hand feel, washable, and durable. 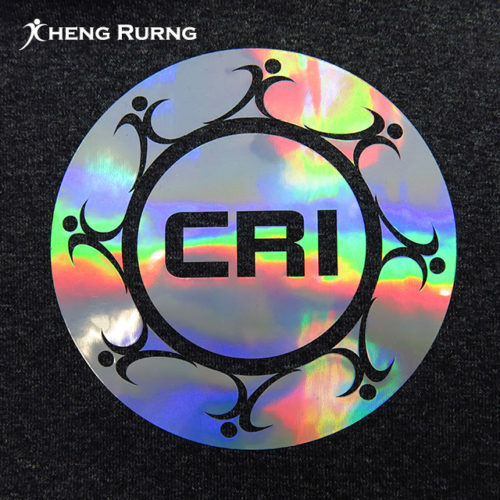 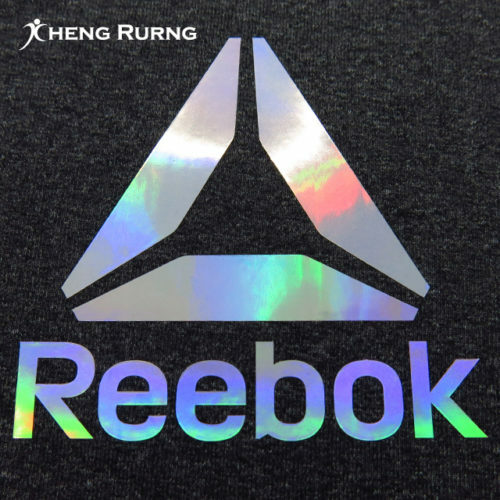 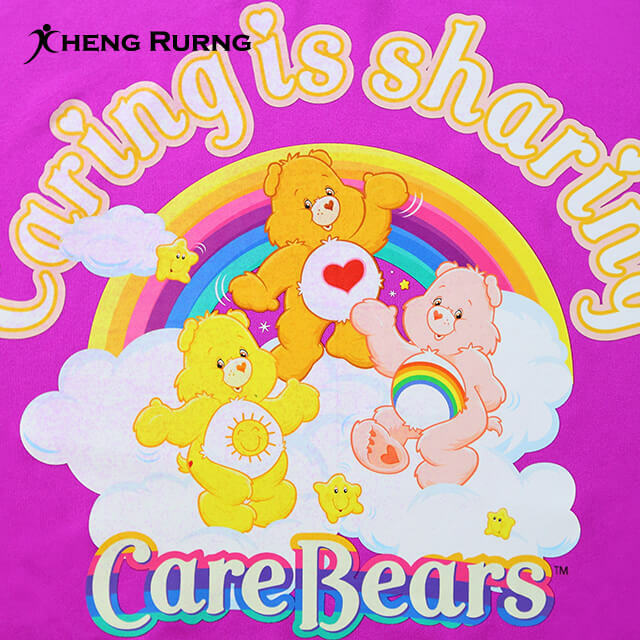 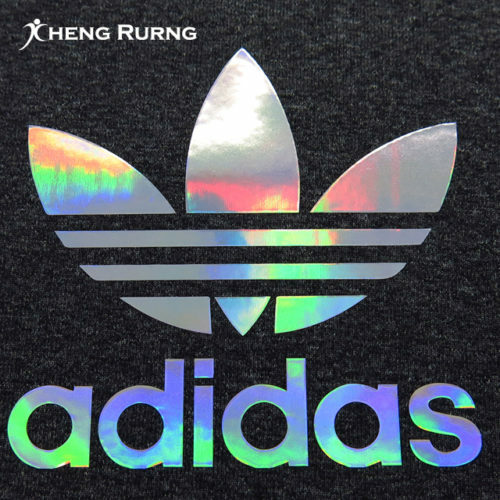 Rainbow Color Reflective Heat Transfer Label is different from normal silver and black reflective label. It is with rainbow color reflective effect and makes your clothing cool. 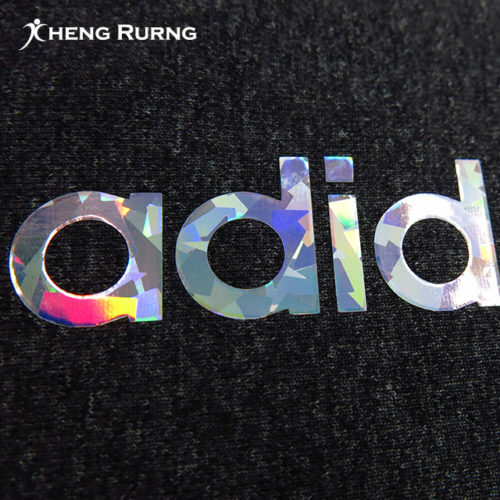 It is always applied to functional apparel with reflective effect. 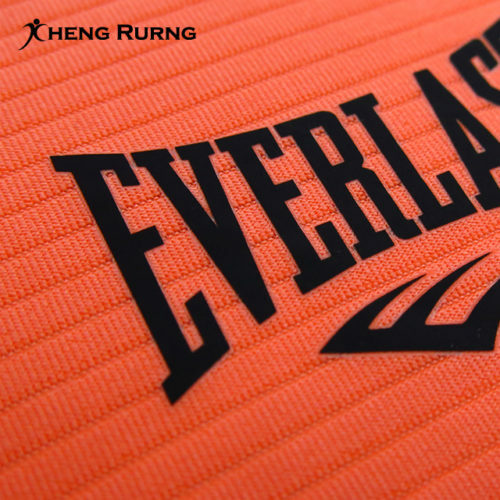 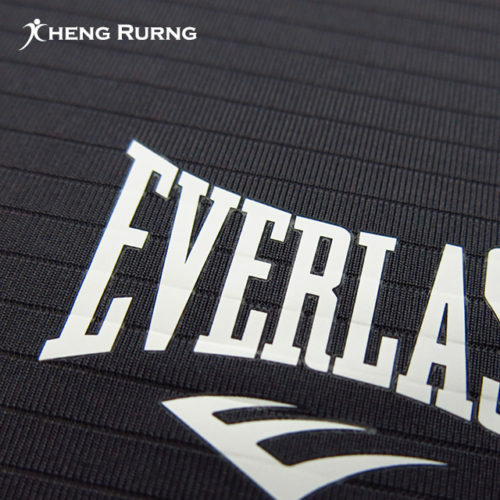 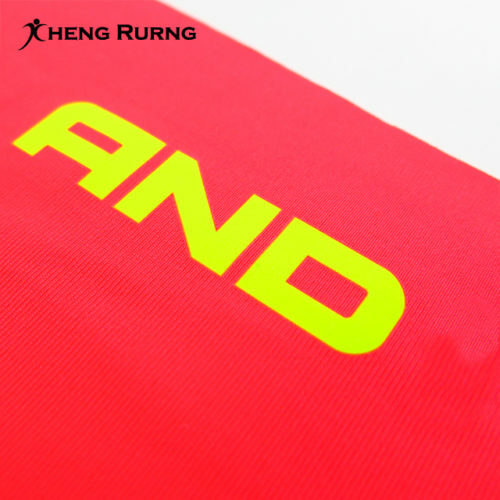 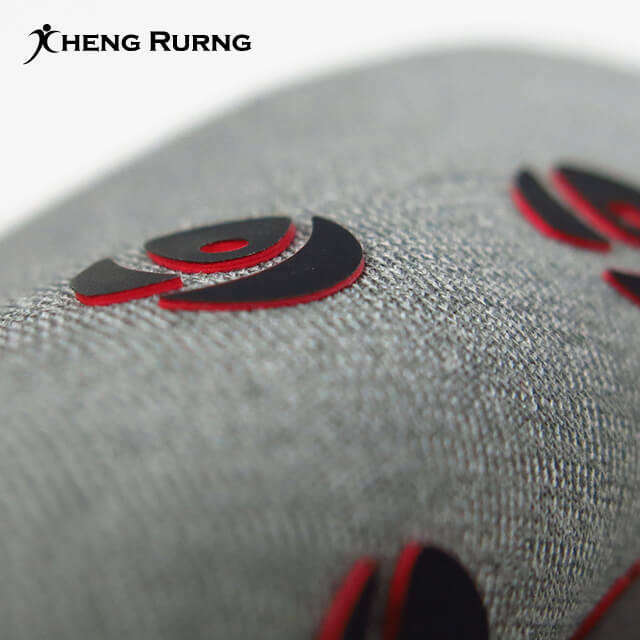 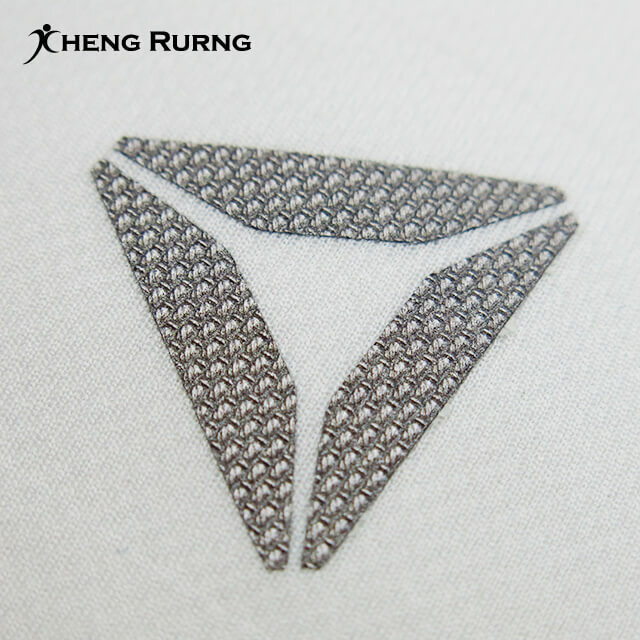 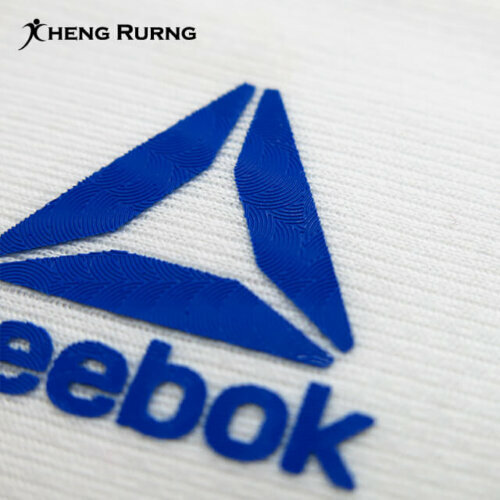 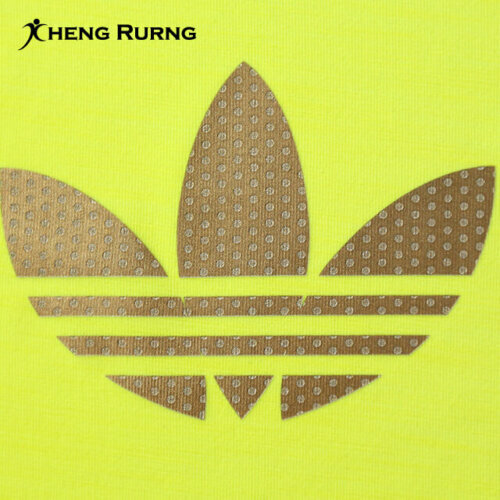 It is always applied to functional apparel and with two-tone reflective effect. 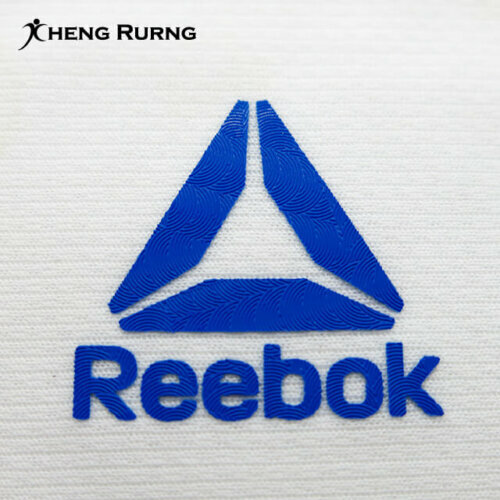 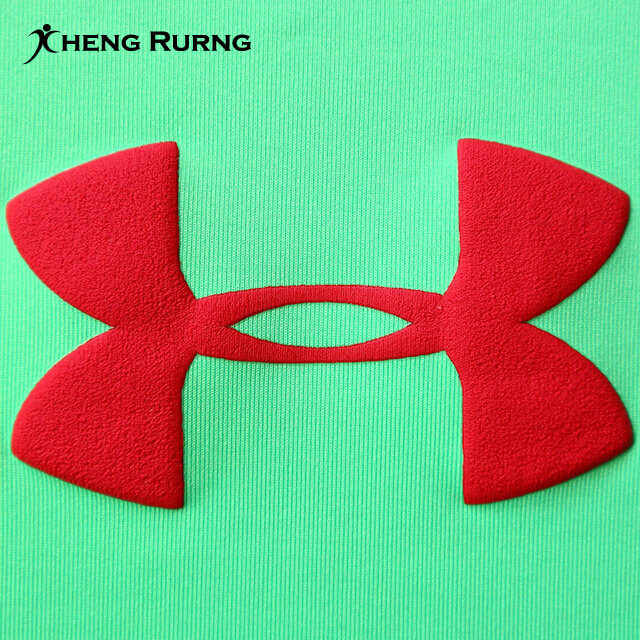 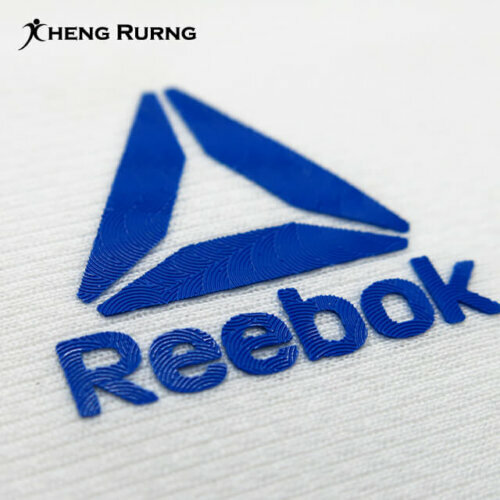 It is always applied to functional apparel and with stereoscopic/3D effect. The pattern is with shiny finish surface. 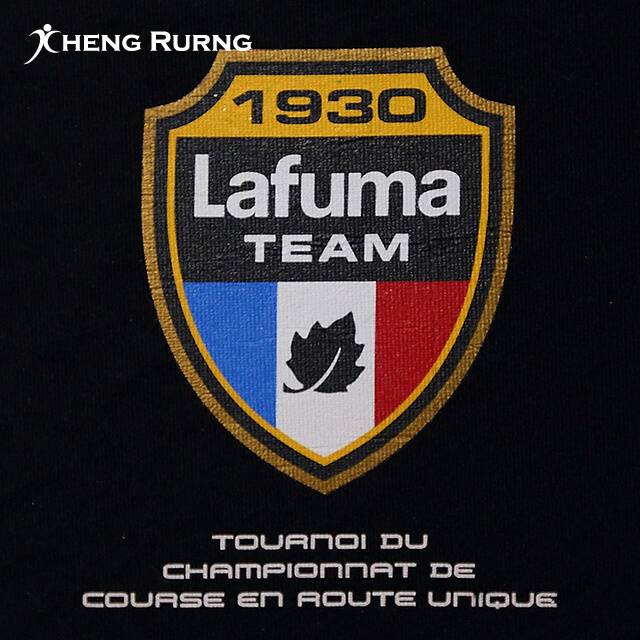 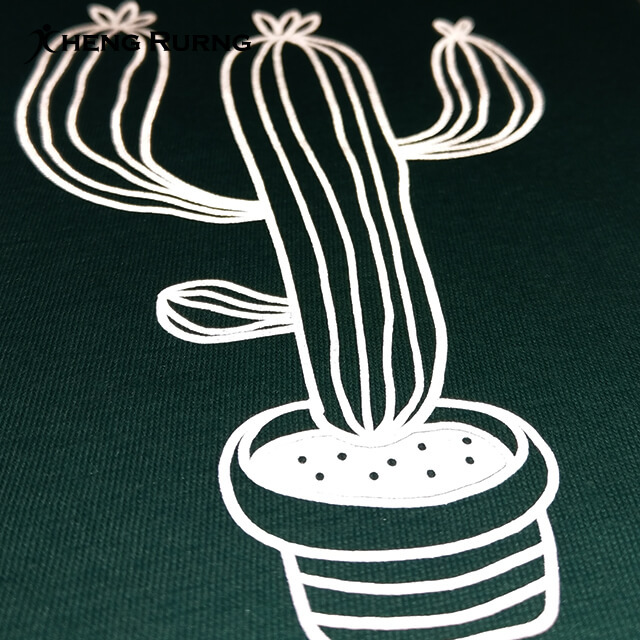 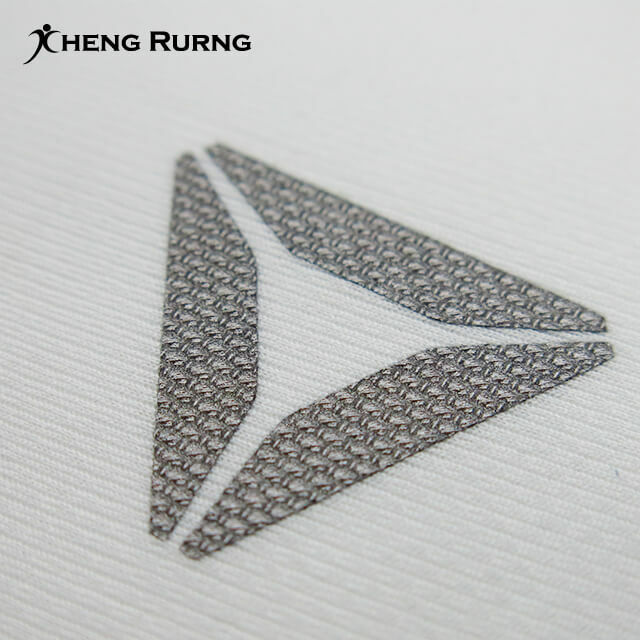 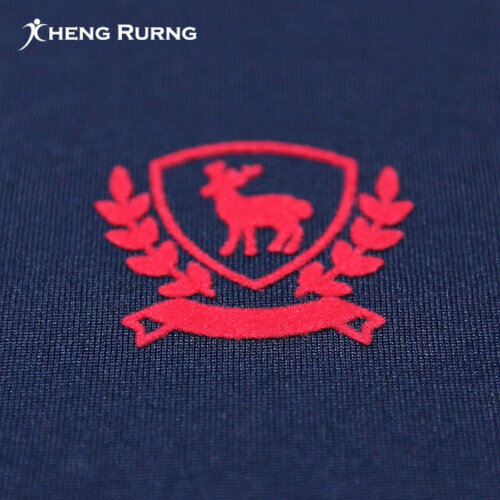 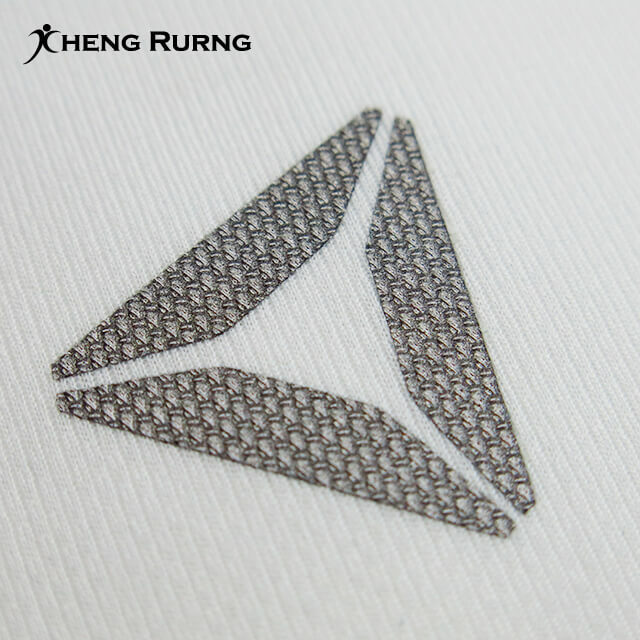 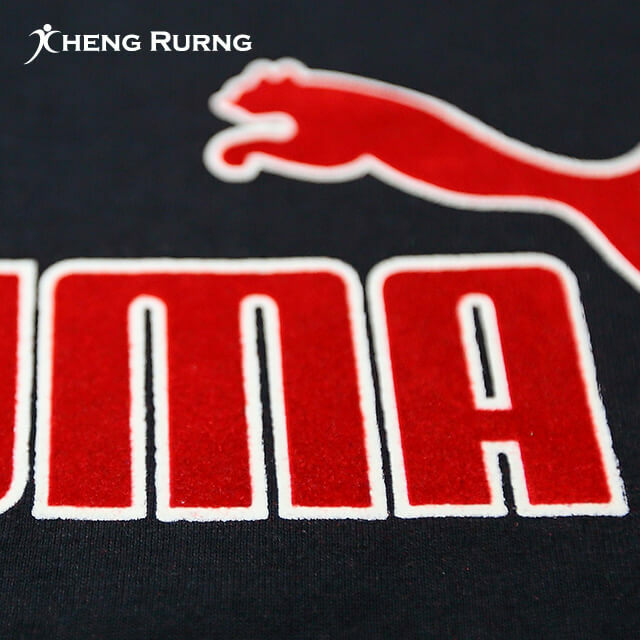 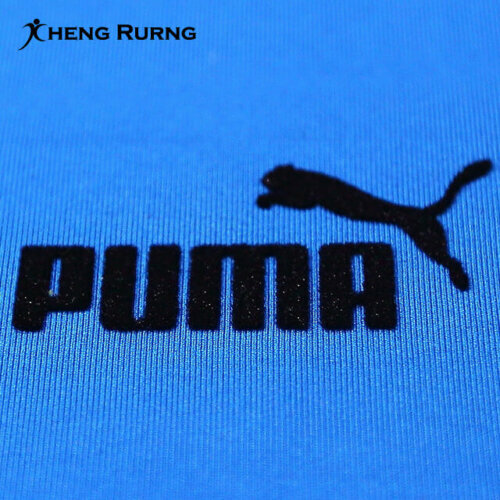 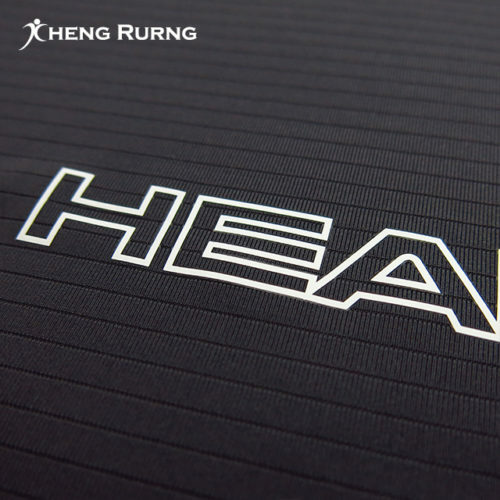 The feature of shiny heat transfer is soft hand feel and anti-migration. 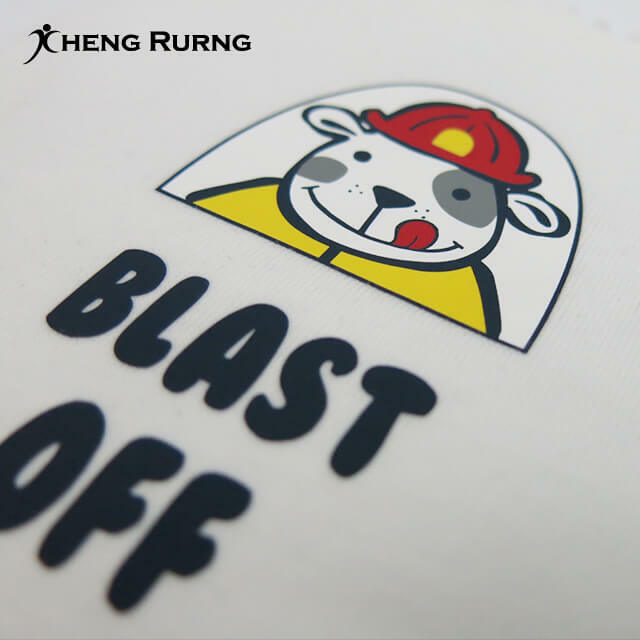 The resolution of Full Color Heat Transfer Label is high and good. 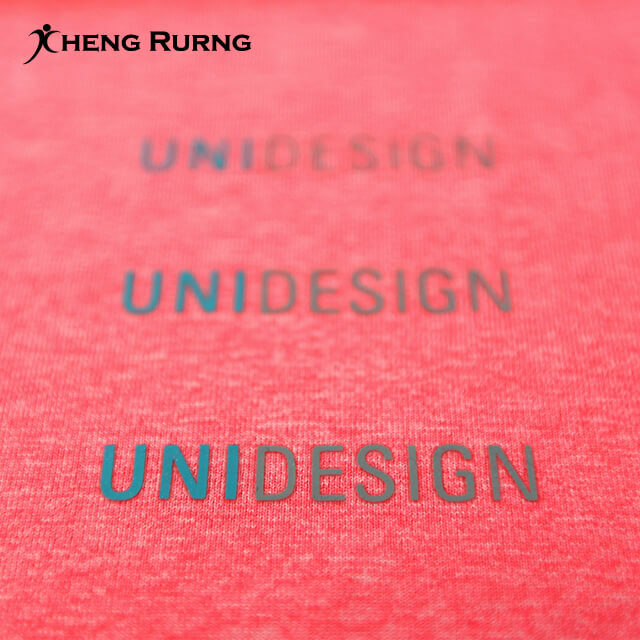 The color looks more colorful and brighter than traditional printing. 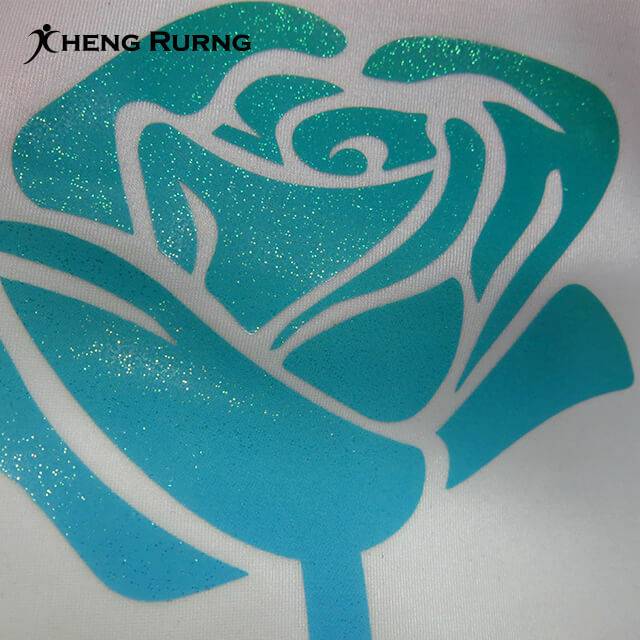 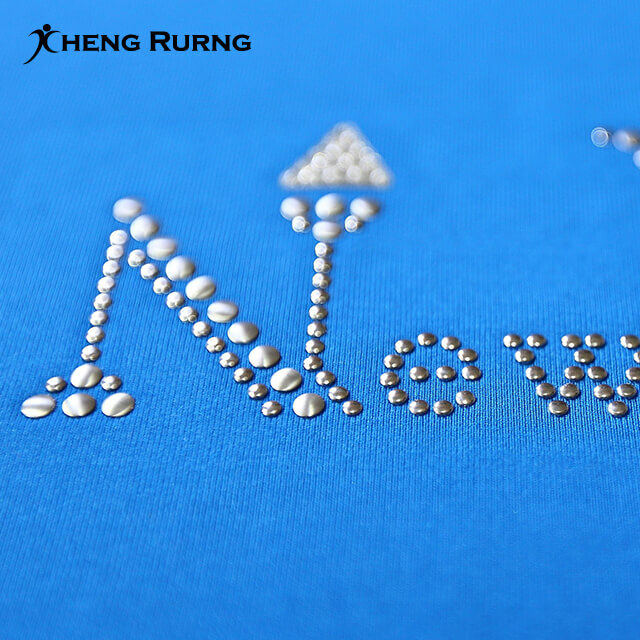 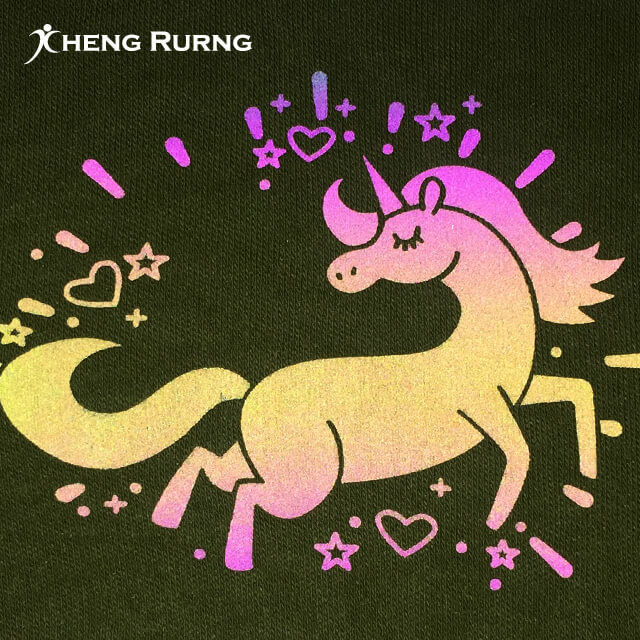 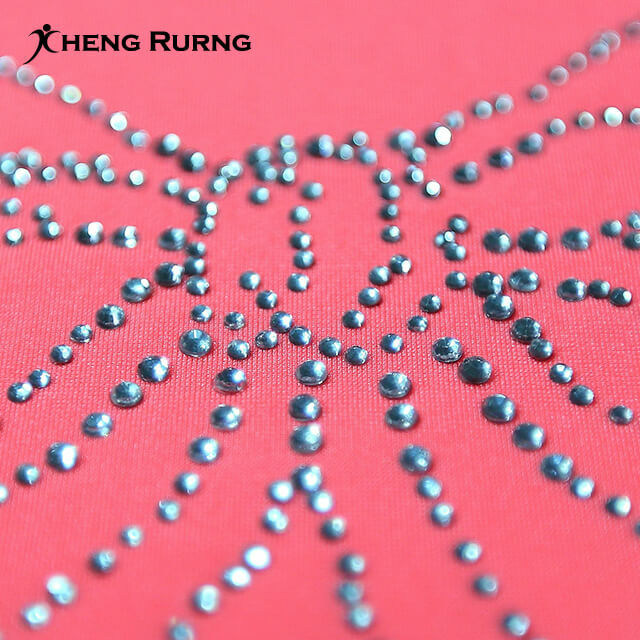 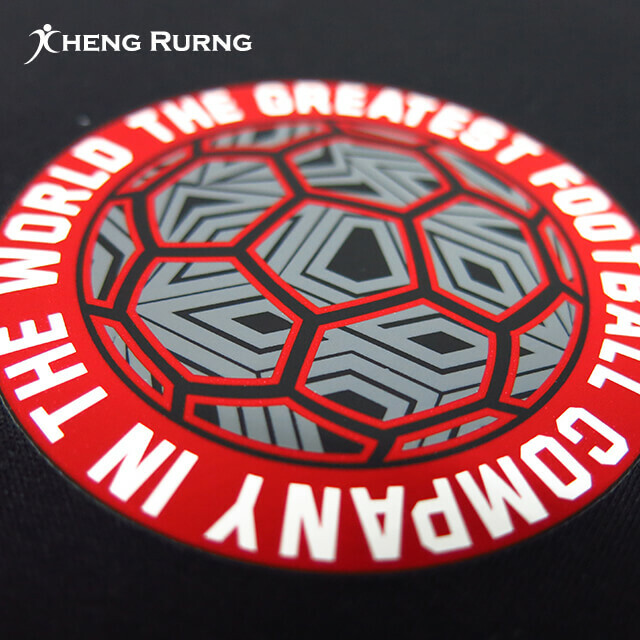 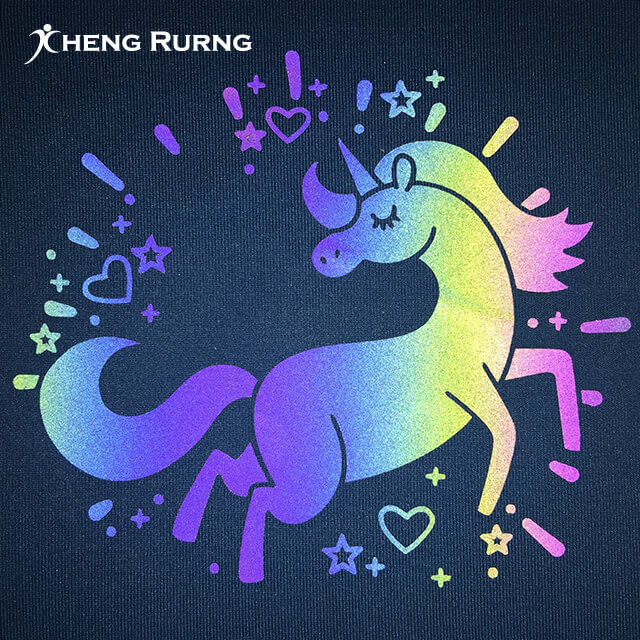 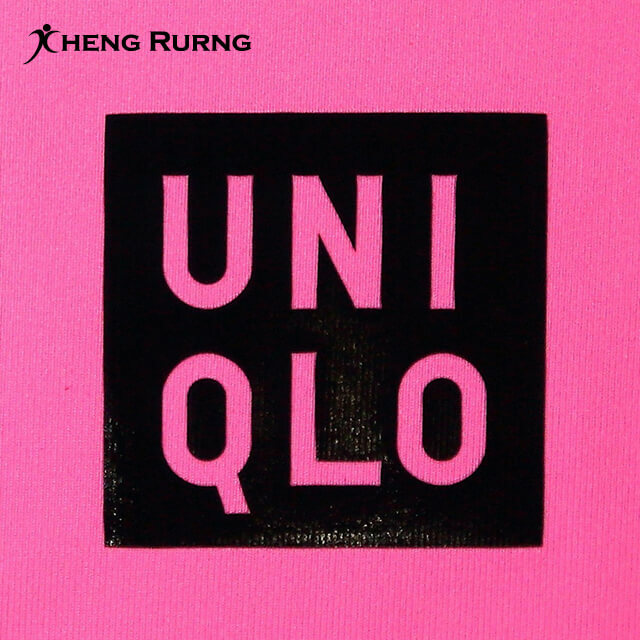 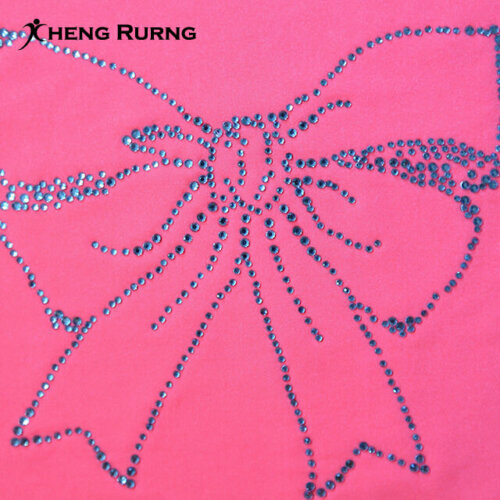 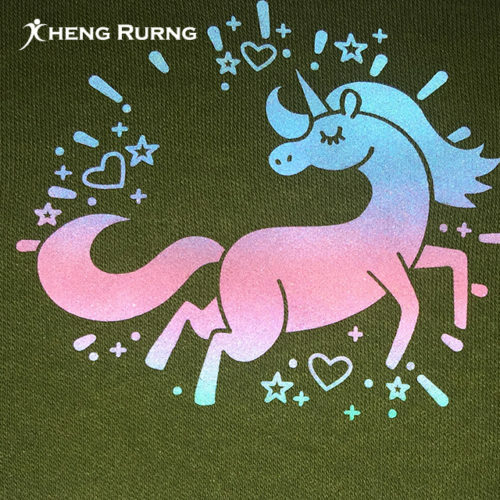 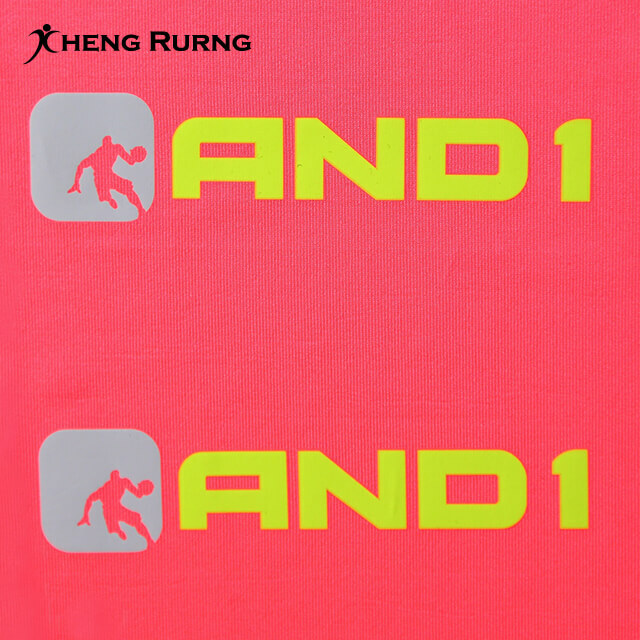 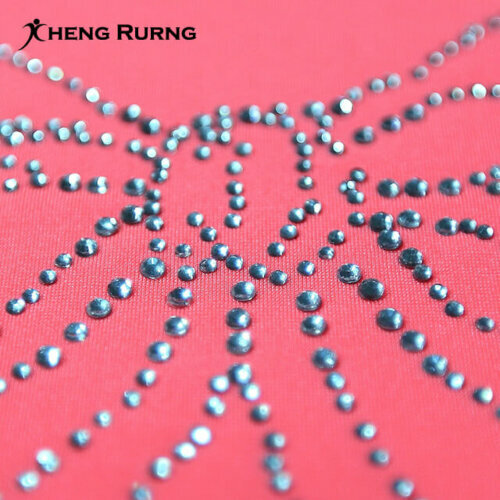 Glitter Heat Transfer Label is suitable for vivid and creative patterns for T-shirt. 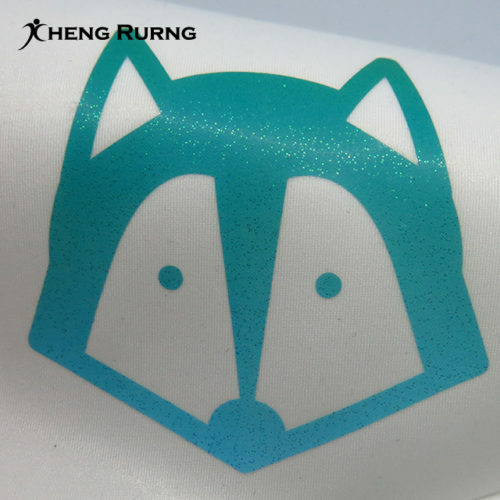 It is also suitable for logos. 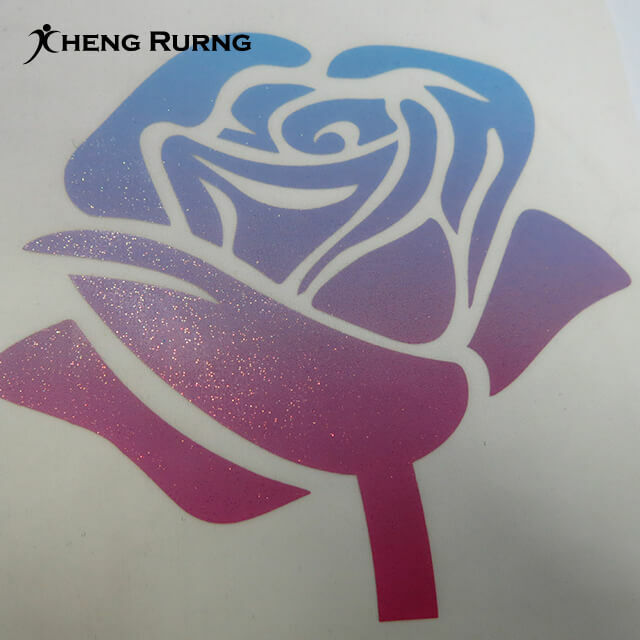 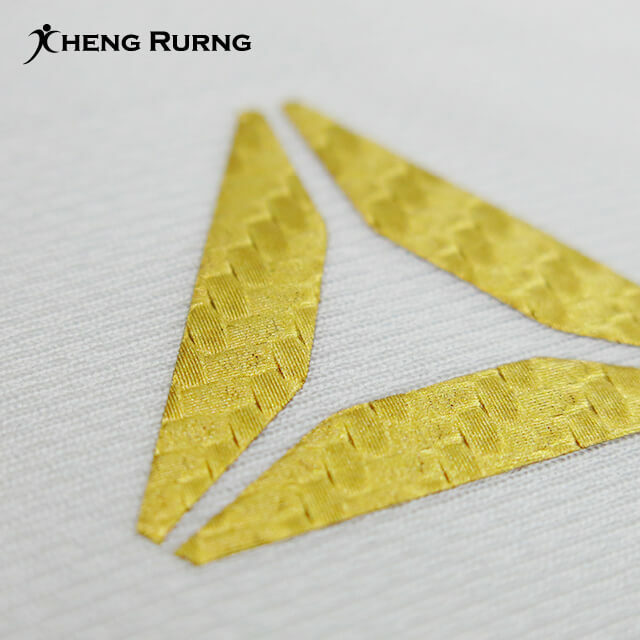 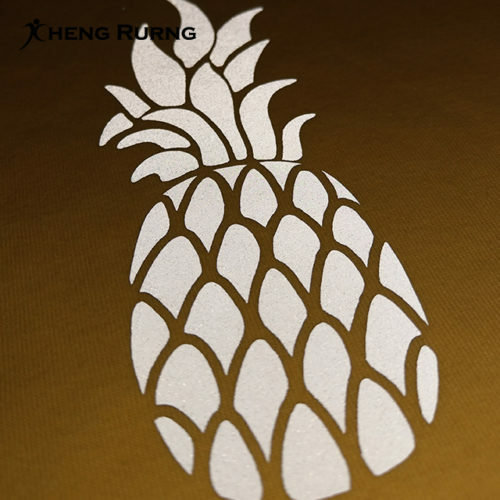 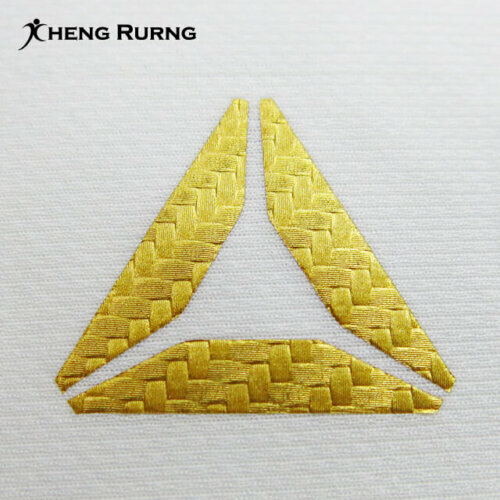 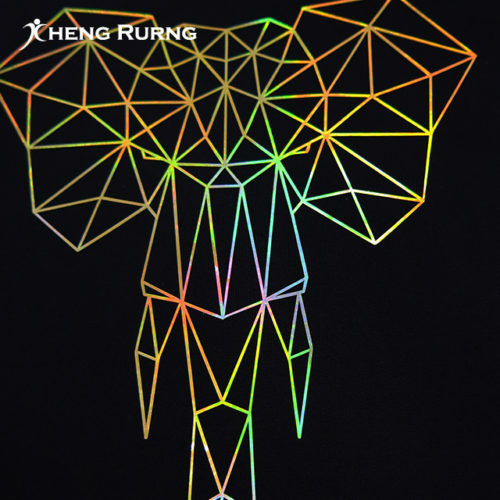 The Metallic Shiny Golden Rainbow Laser Heat Transfer Label is a kind of laser foil heat transfer label. 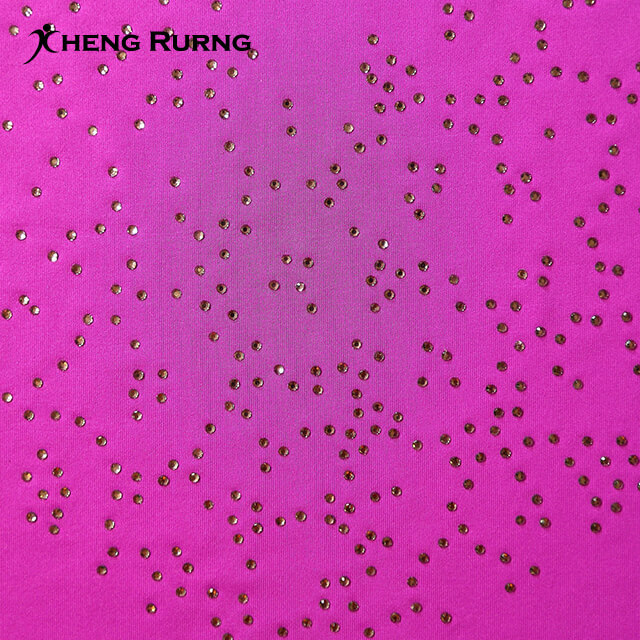 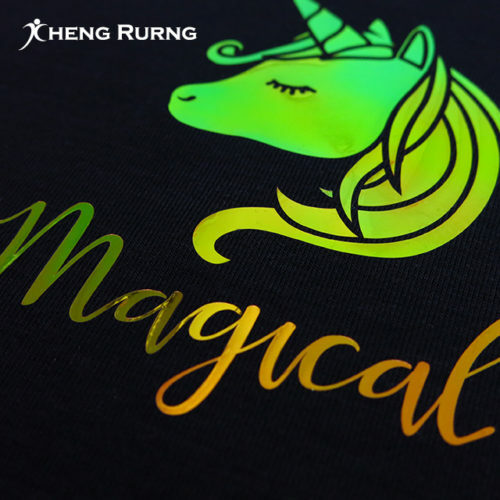 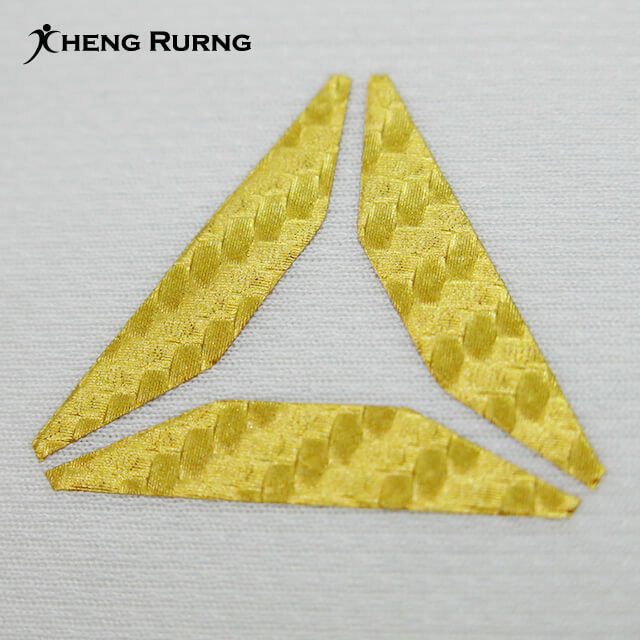 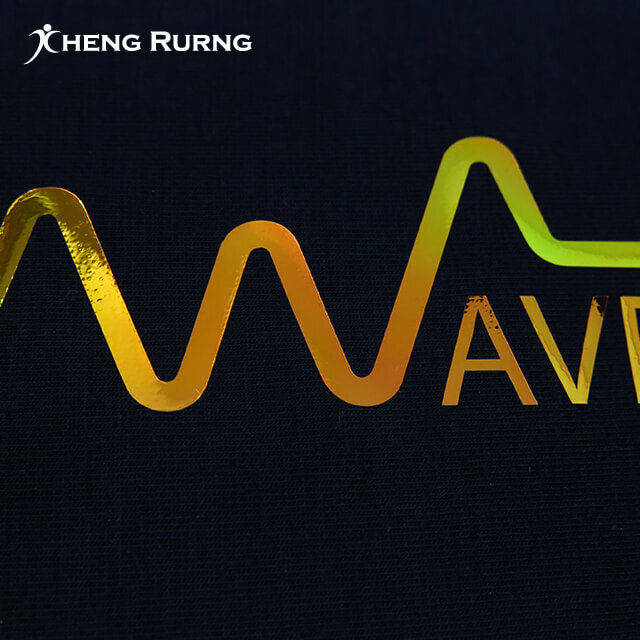 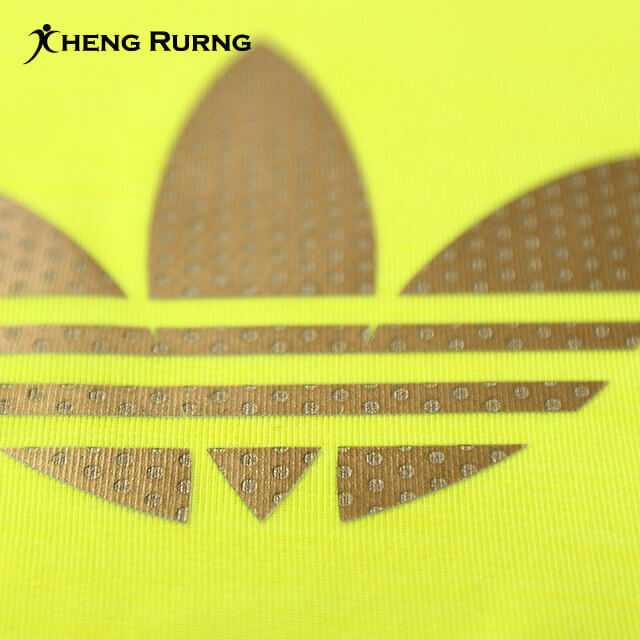 The gold laser surface is with rainbow color effect. It is suitable for dark and shiny bright color T-shirts. 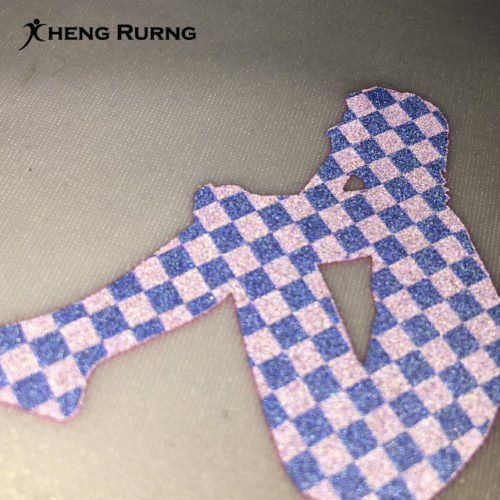 The foil surface of Fancy Pearl Blue-pink Color Foil Heat Transfer Label is with shiny pearl blue-pink color. 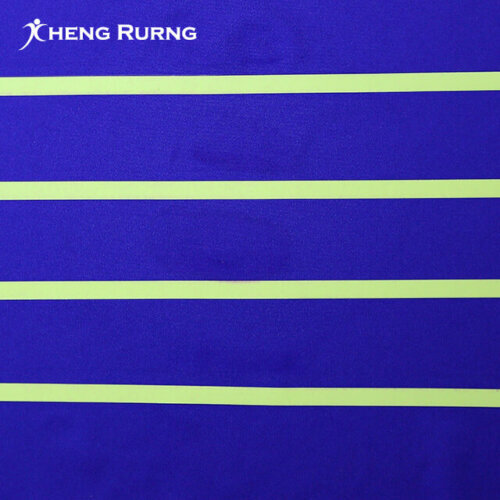 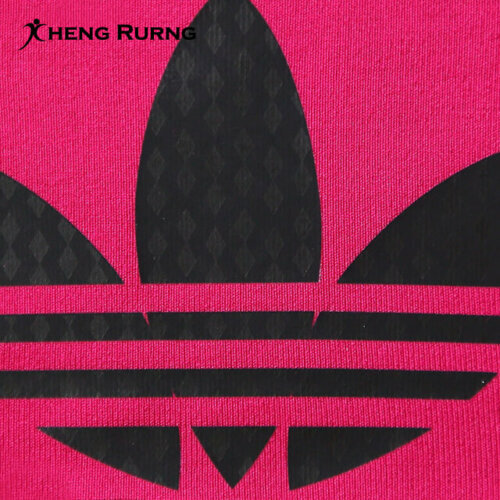 The label color will be changed when it applies on different fabrics in different colors. 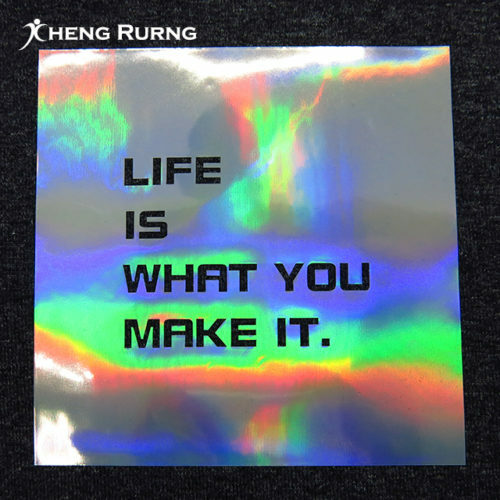 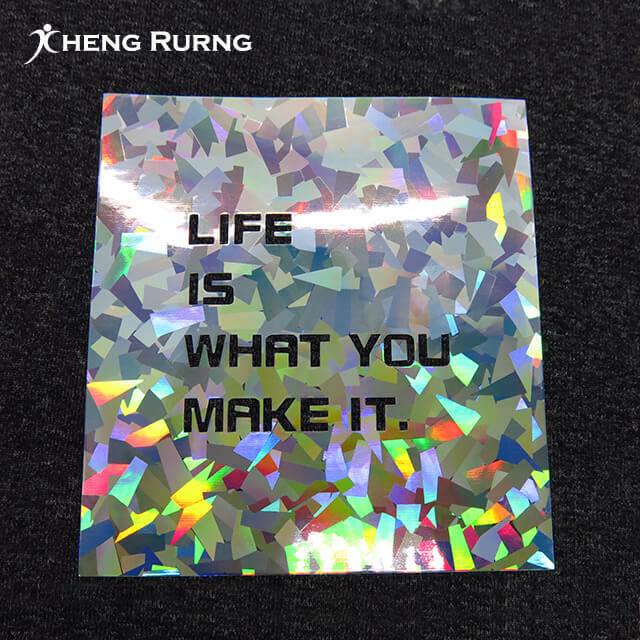 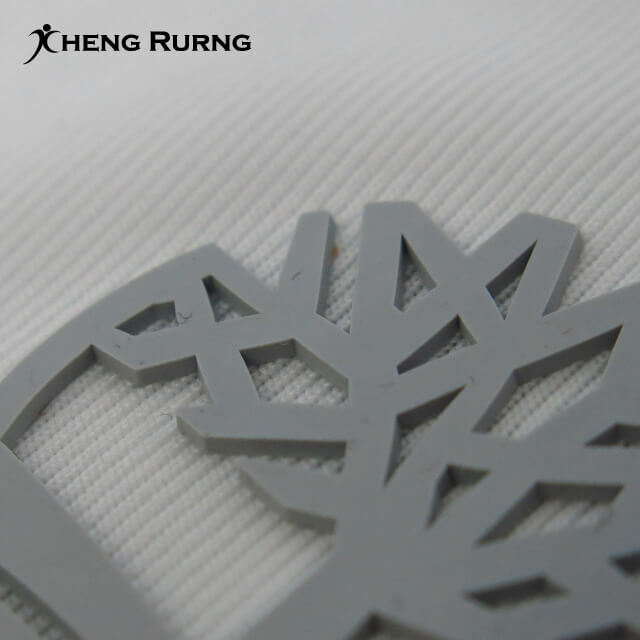 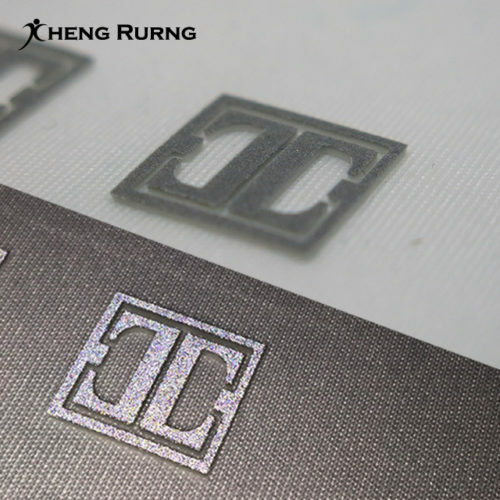 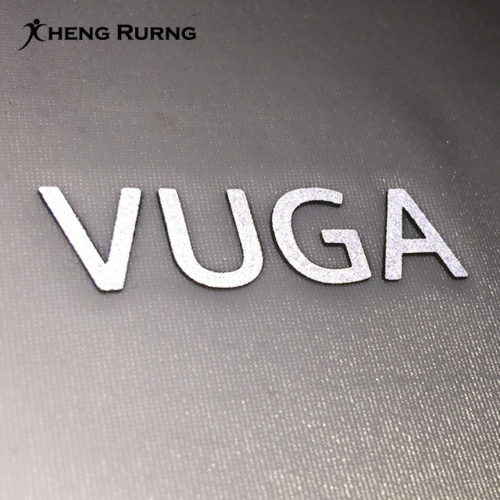 The Metallic Shiny Silver Rainbow Laser Heat Transfer Label is a kind of laser foil heat transfer label. 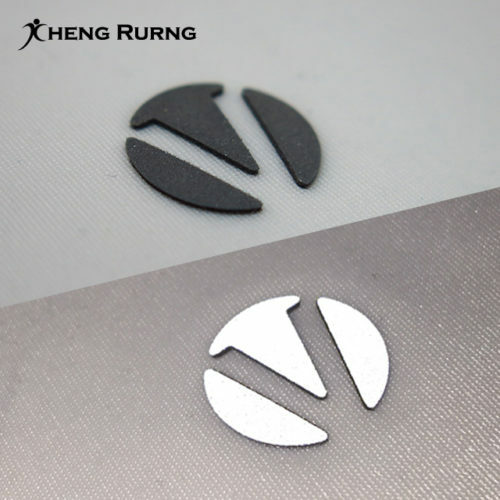 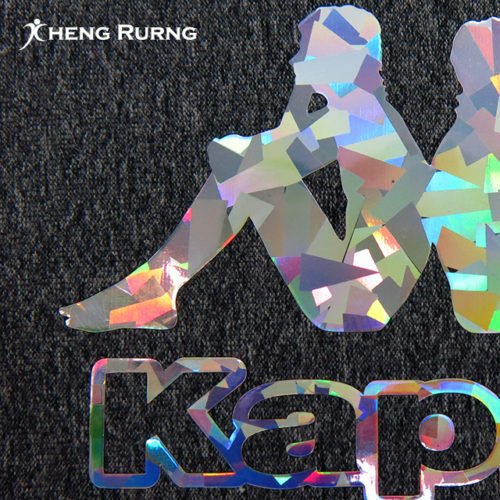 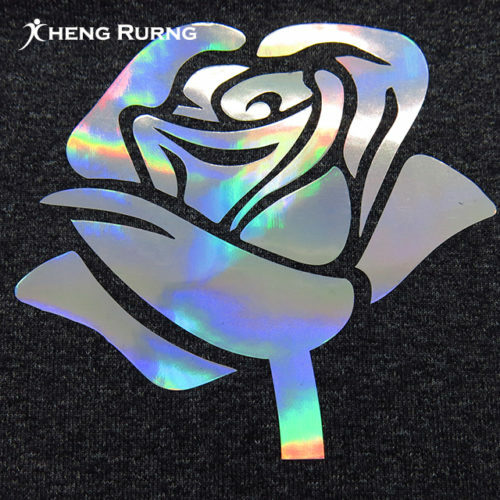 The Silver laser surface is with rainbow color effect. 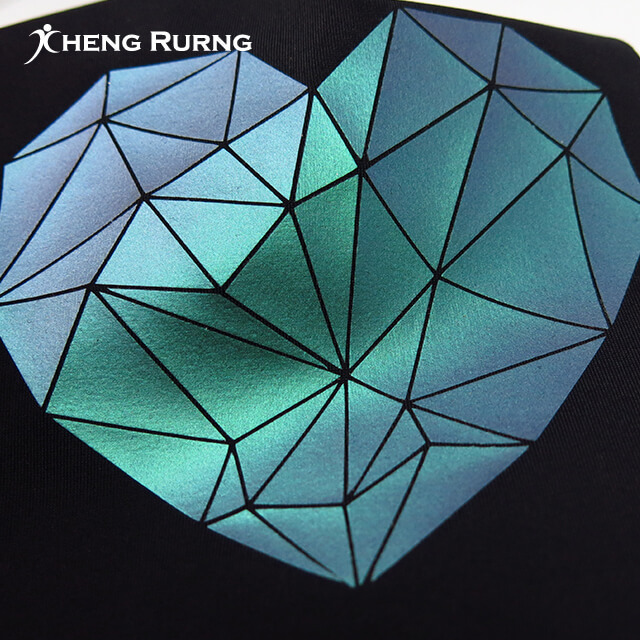 It is suitable for dark and shiny bright color T-shirts. 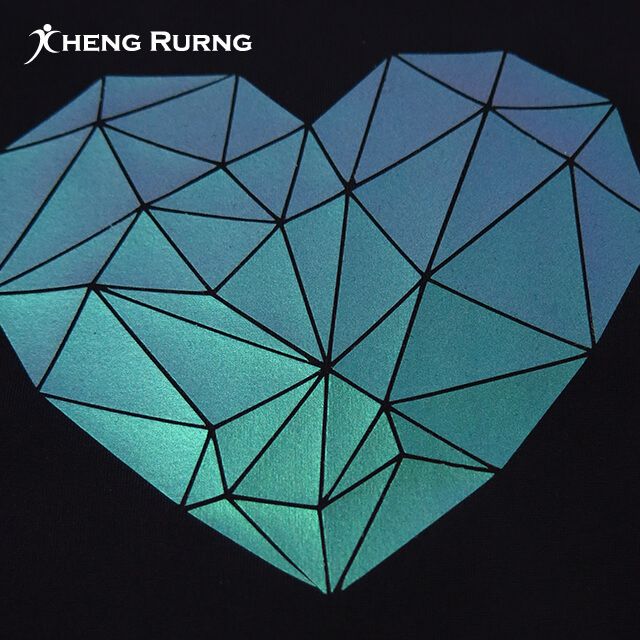 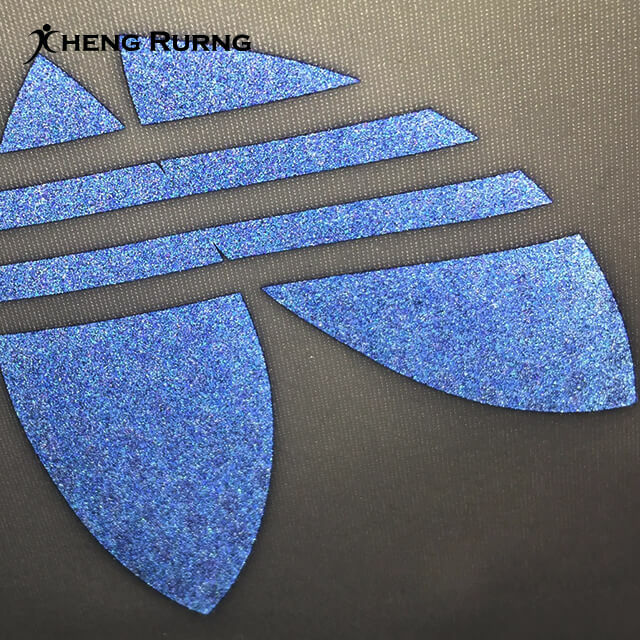 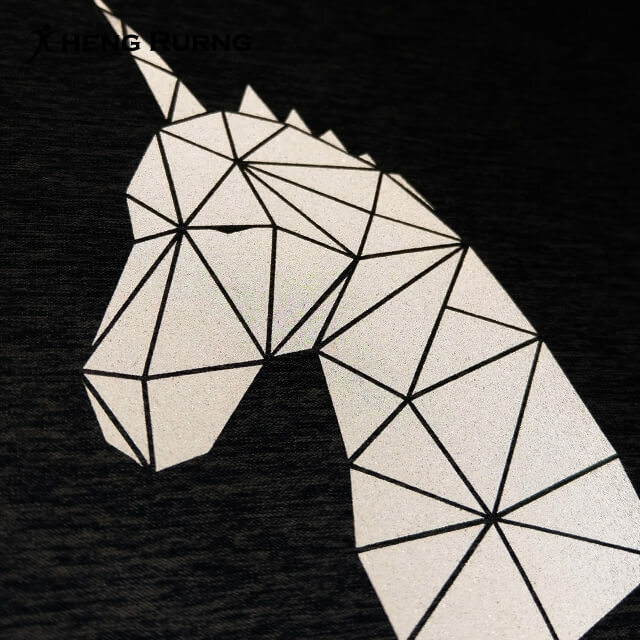 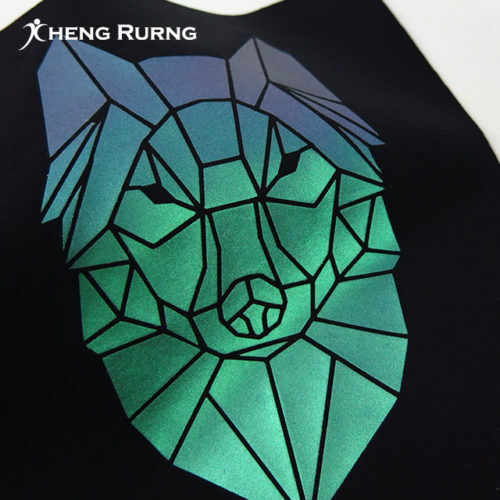 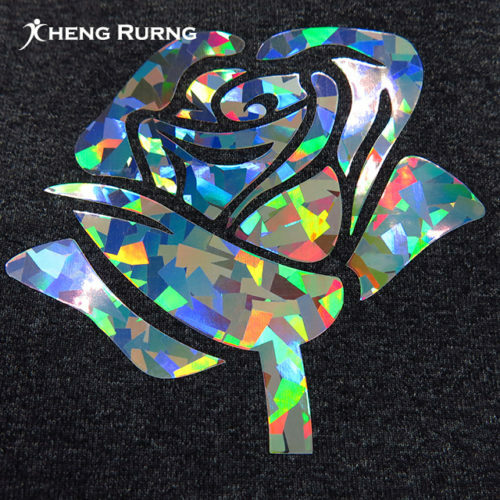 The Metallic Iridescent Holographic Laser Heat Transfer Label is a kind of laser foil heat transfer label. 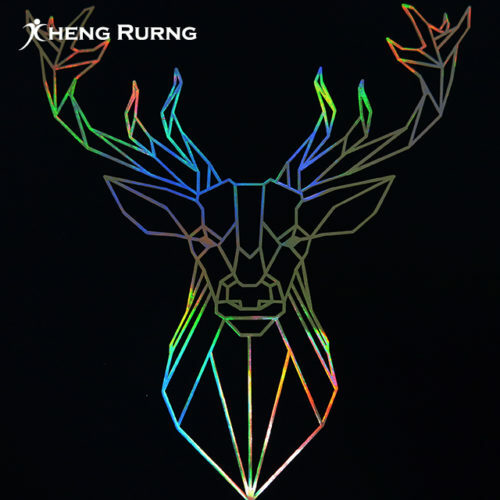 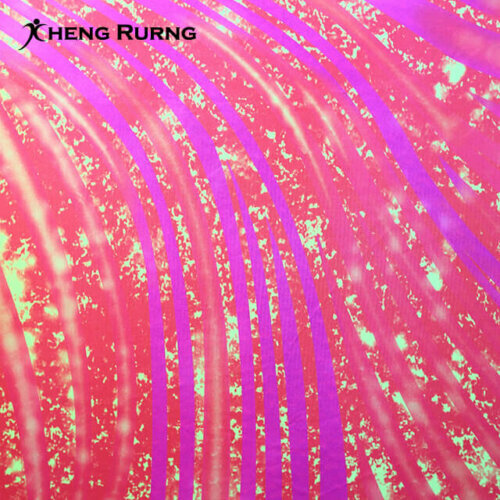 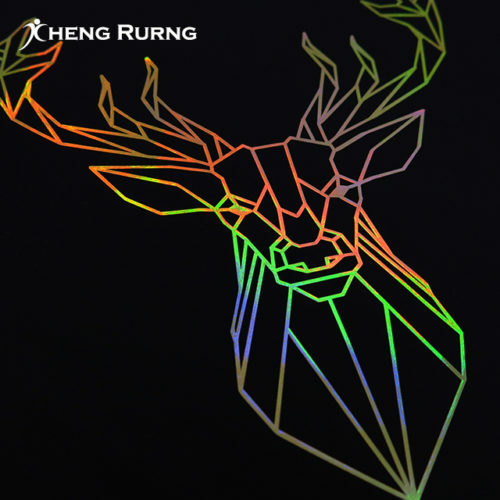 The laser surface is with rainbow color effect. It is suitable for dark and shiny bright color T-shirts. 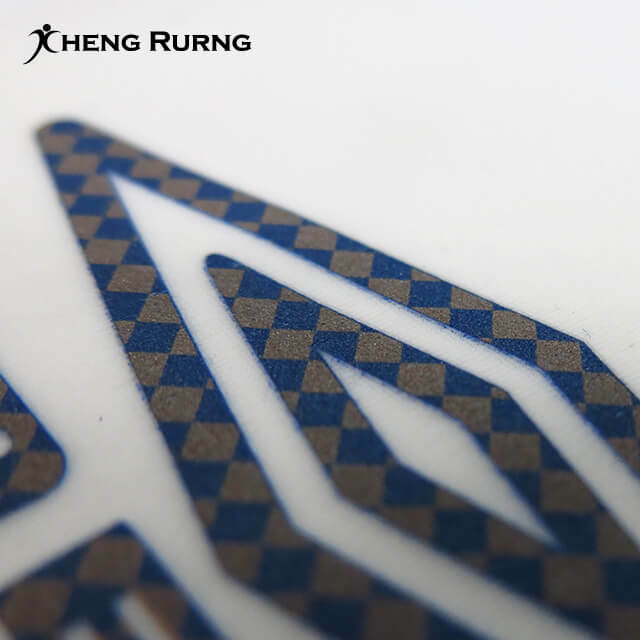 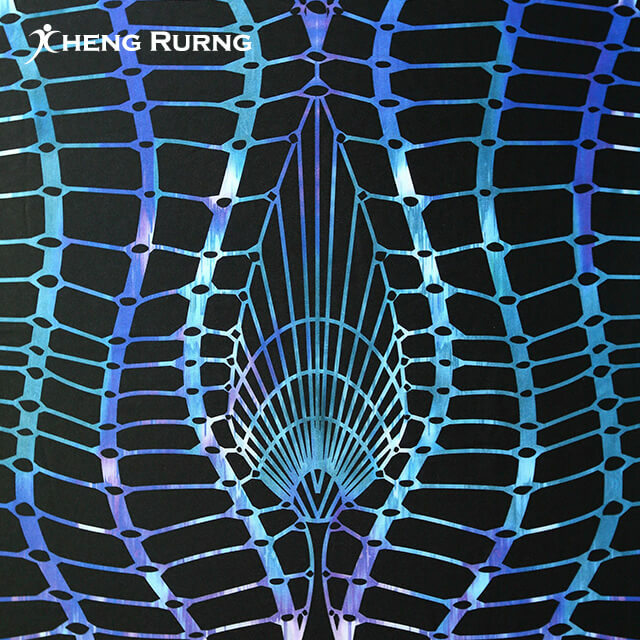 The pattern looks stereoscopic and with matte finish surface. The surface of the pattern is matte finish and with stereoscopic effect. Heat transfer the fibers on the fabrics. 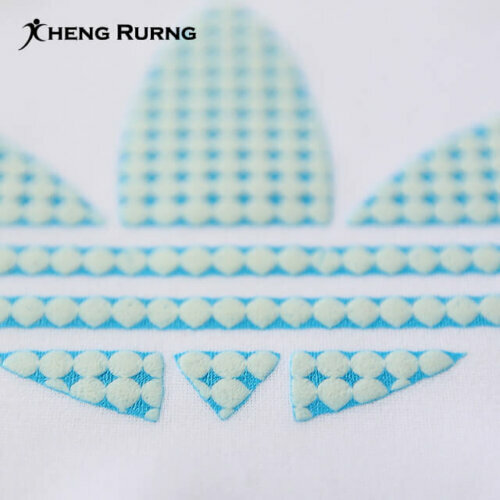 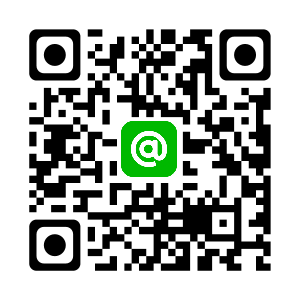 3D High Density TPU Heat Transfer Label is with transparent feeling surface like jelly. 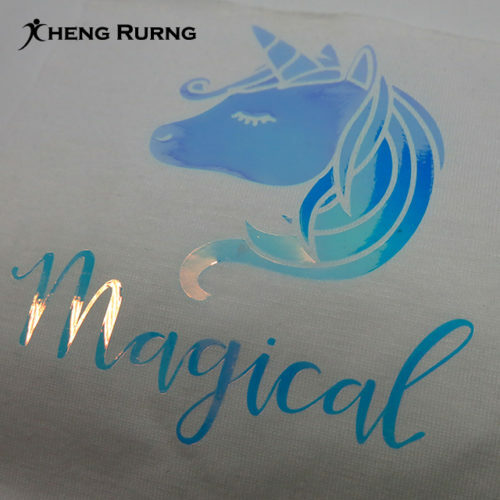 It is softer than 3D PVC heat transfers. 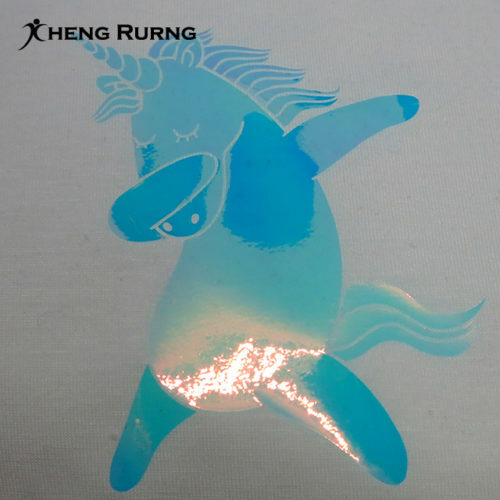 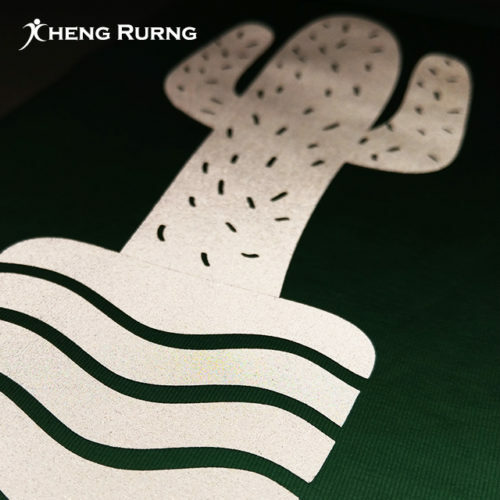 The Jelly Glue Heat Transfer Label is with transparent color feeling and it looks like jelly color. The pattern color looks brighter and colorful with jelly finish than the normal shiny heat transfer. 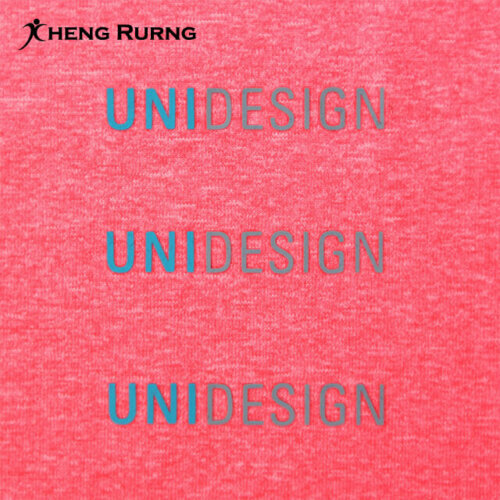 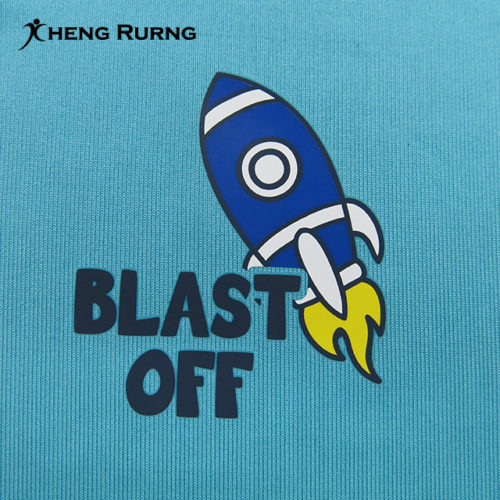 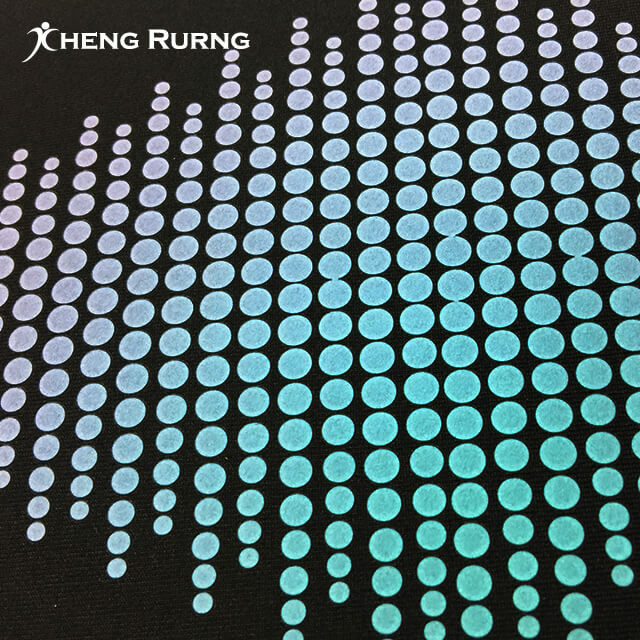 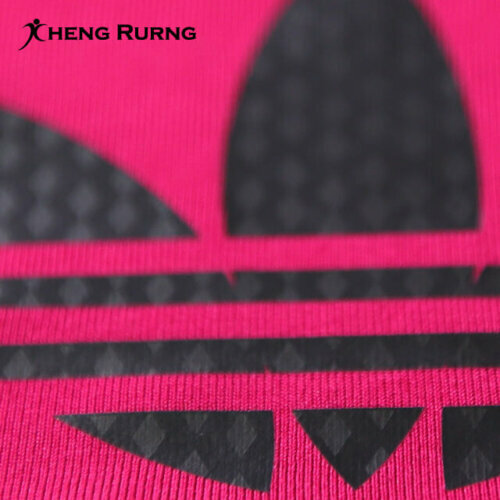 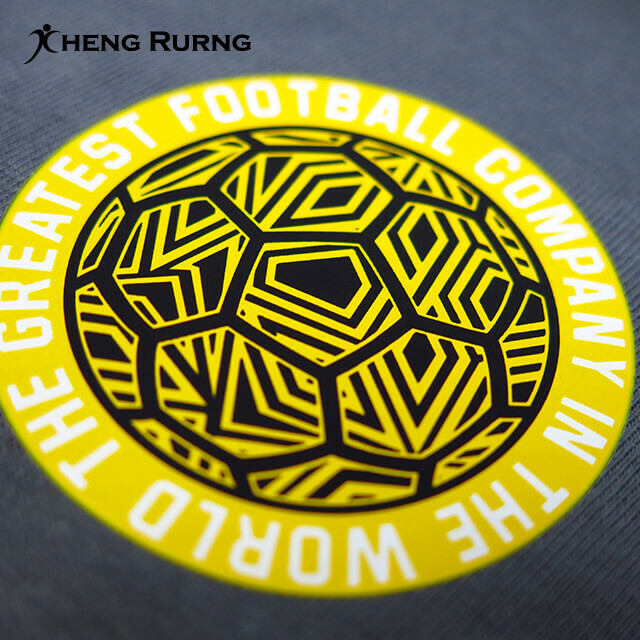 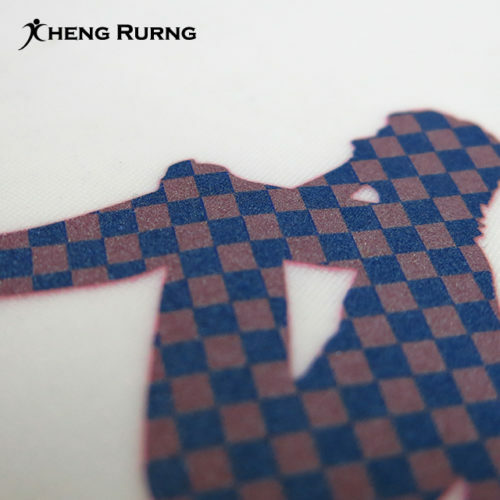 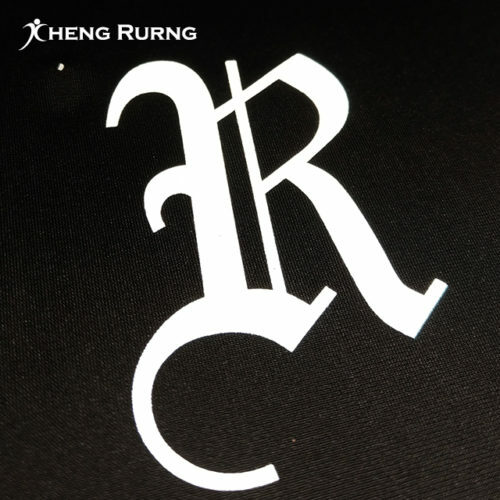 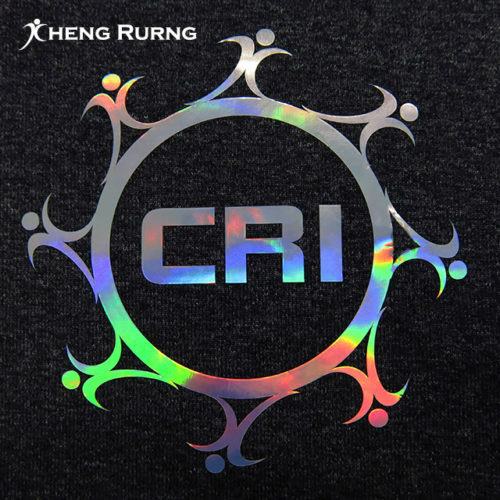 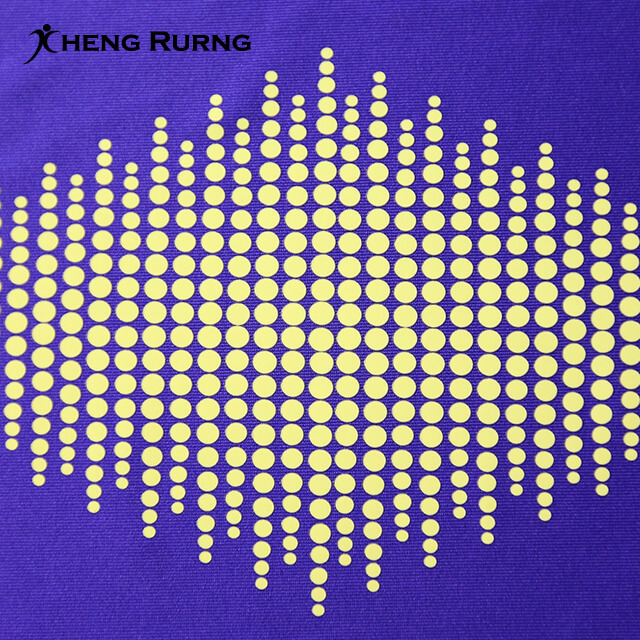 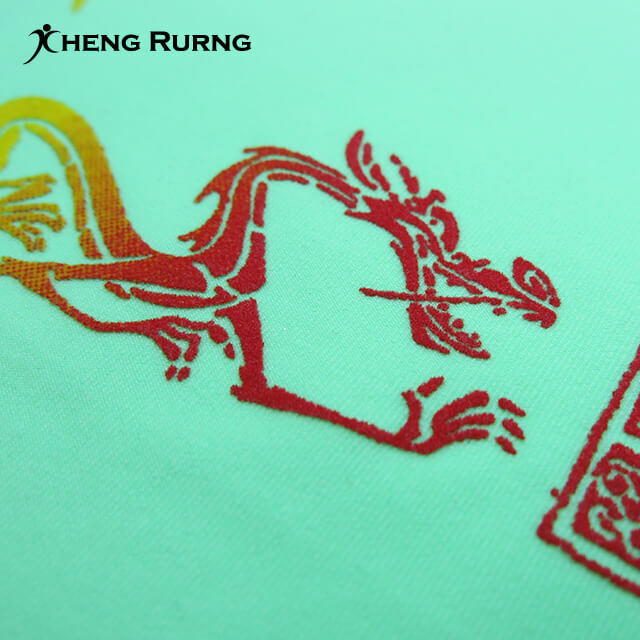 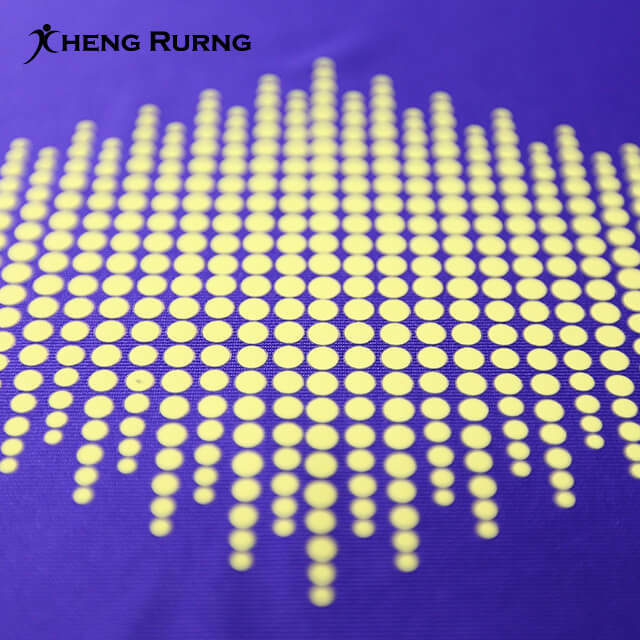 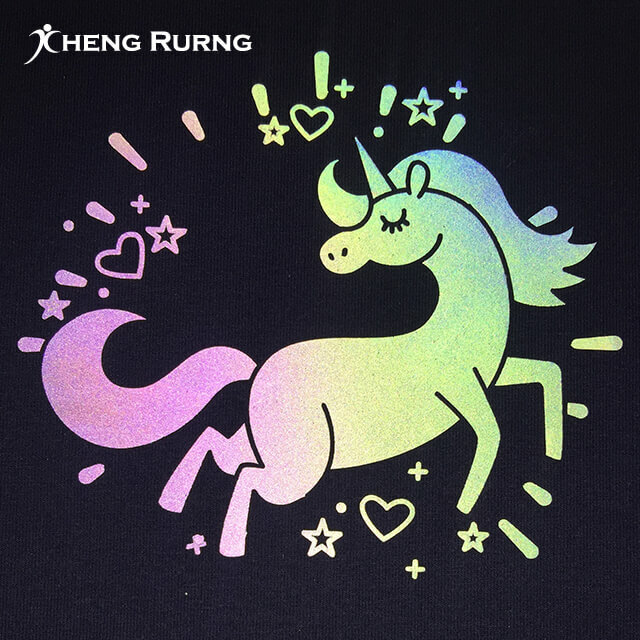 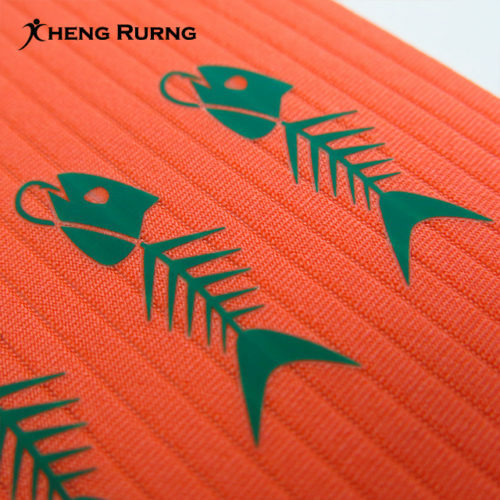 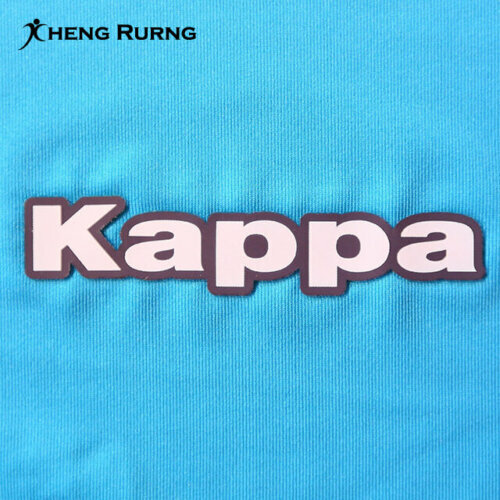 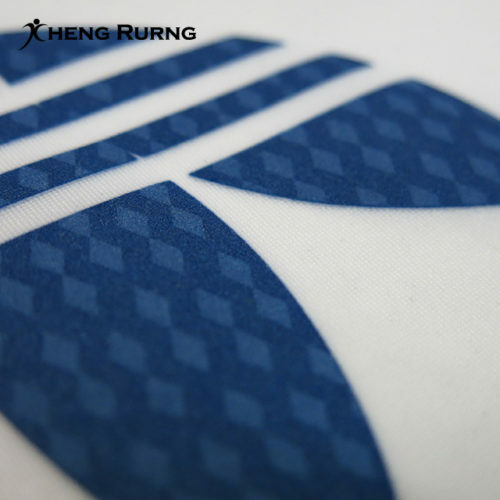 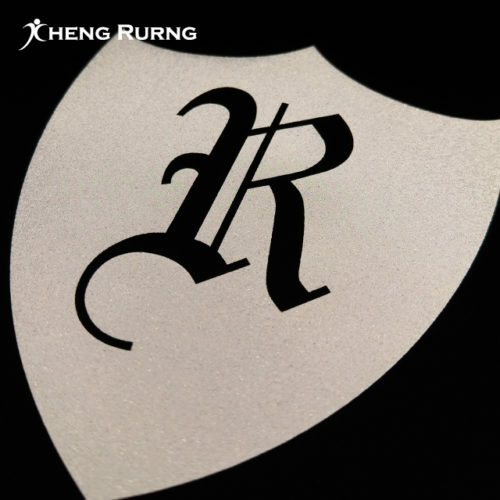 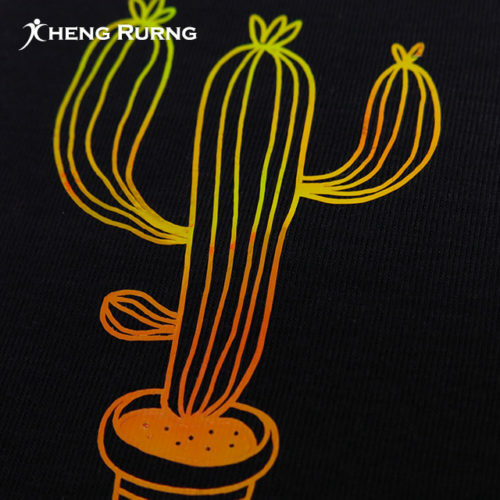 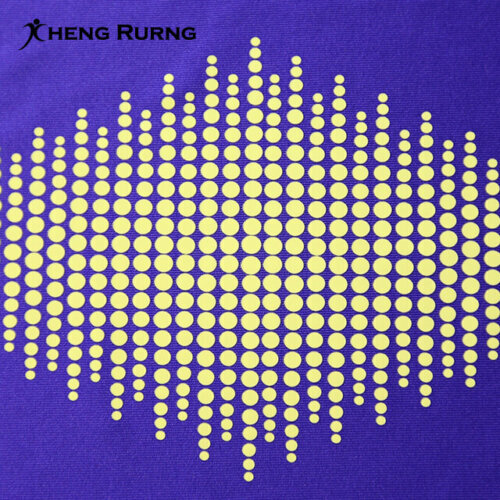 The brightness of the color can be evaluated through the extremely shiny heat transfer. 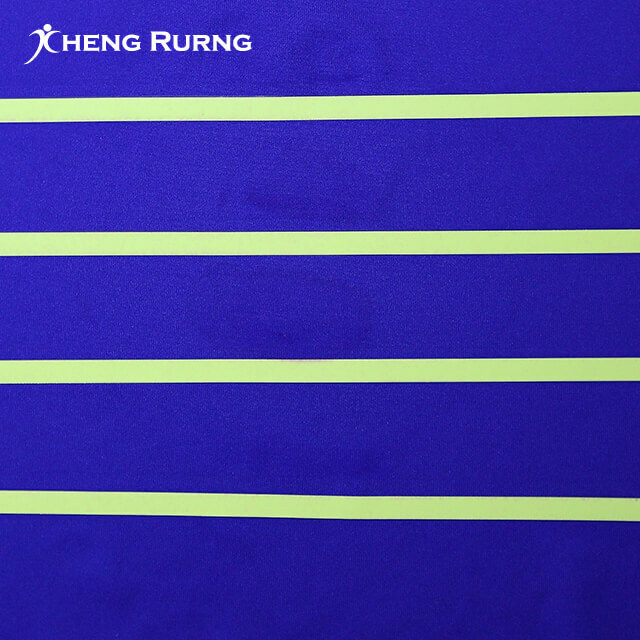 Chameleon Heat Transfer Label is with two color-changing effect when you see through different directions. It can be applied to functional apparel. 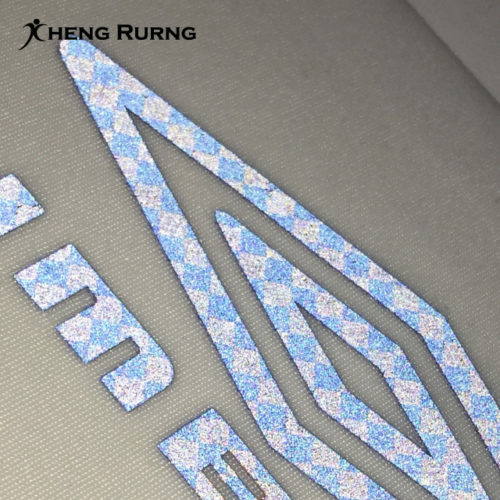 The pattern will glow in the dark. It makes your pattern gorgeous and colorful. It shows the metal and stereoscopic look. 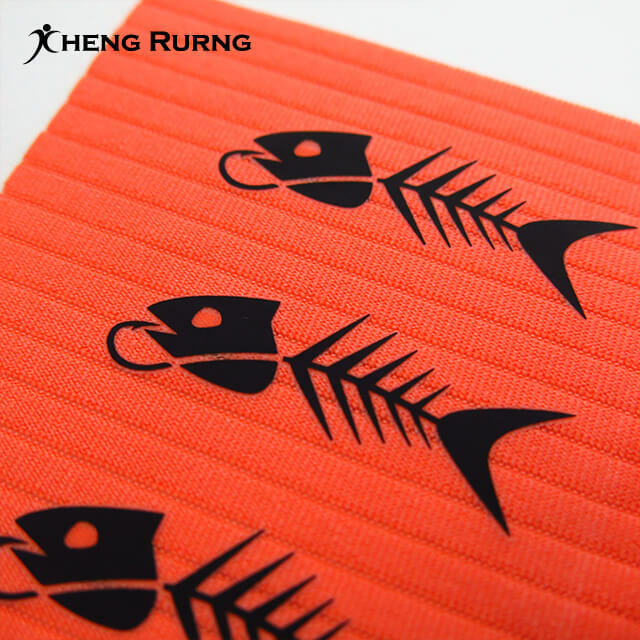 It is good to use for designed pattern. The pattern is with 3D effect and bright colors. 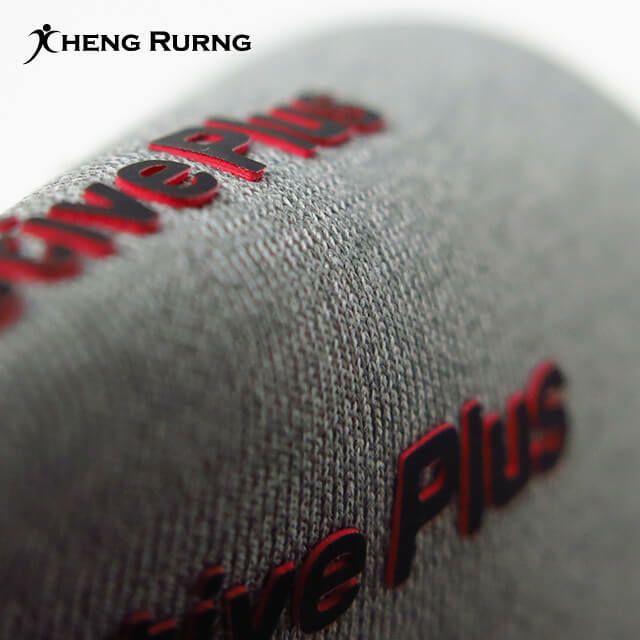 It is applicable for colorful and vivid fullcolor pictures, photos or gradient effect. 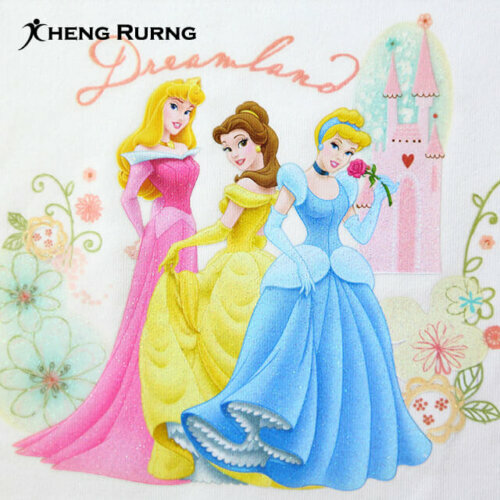 The sublimation heat transfer can be performed very well on 100% white POLY fabric. Please contact us for any special heat transfer printing you are looking for.